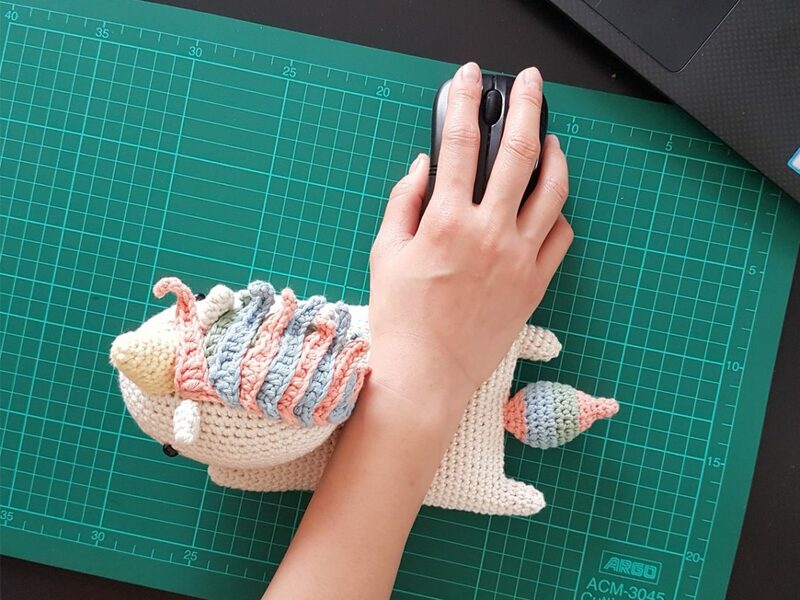 It’s not just only a wrist cushion but also a playful toy! 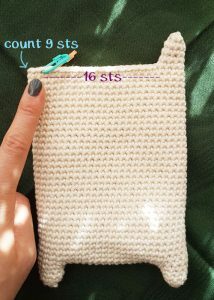 In this project, I mainly used the cotton yarn and polyester filling. 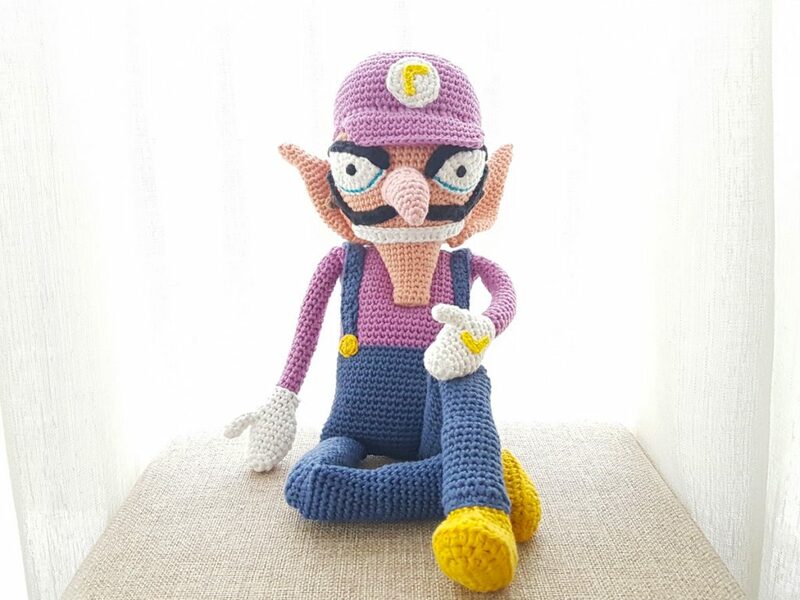 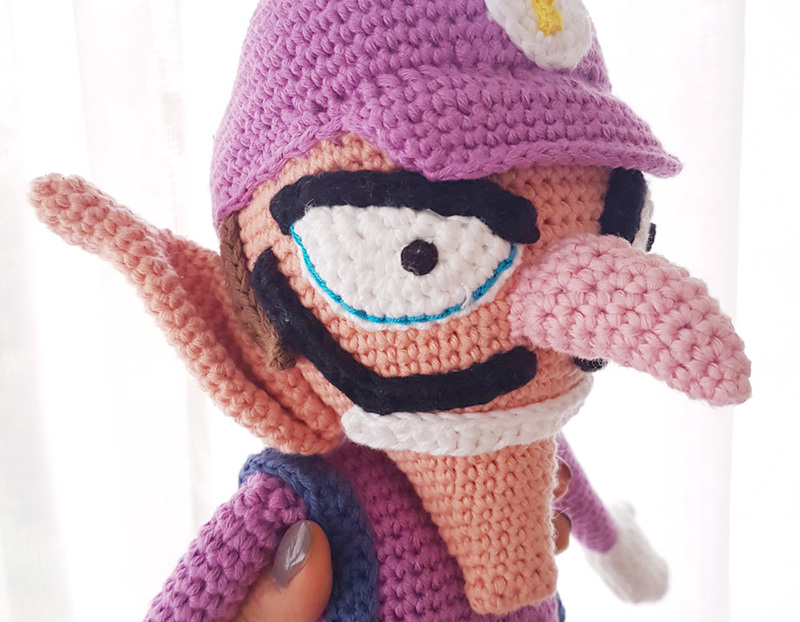 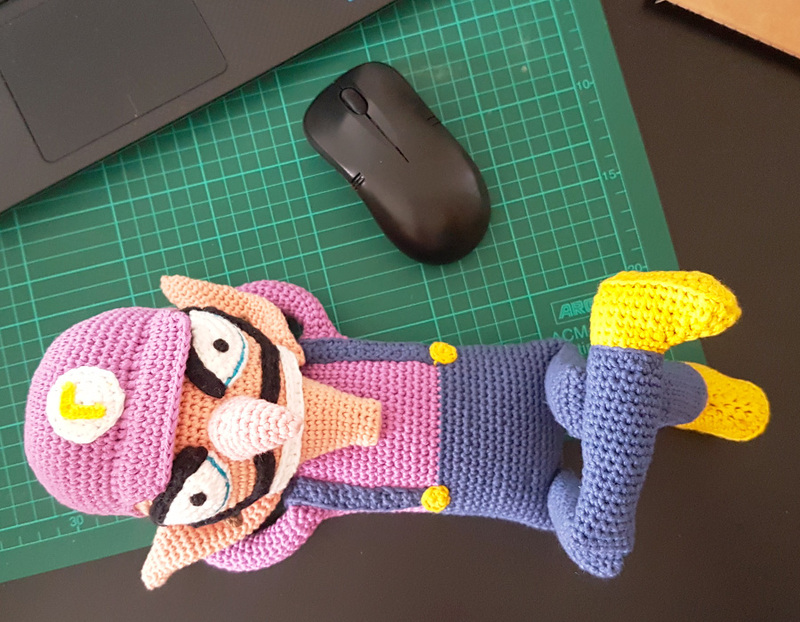 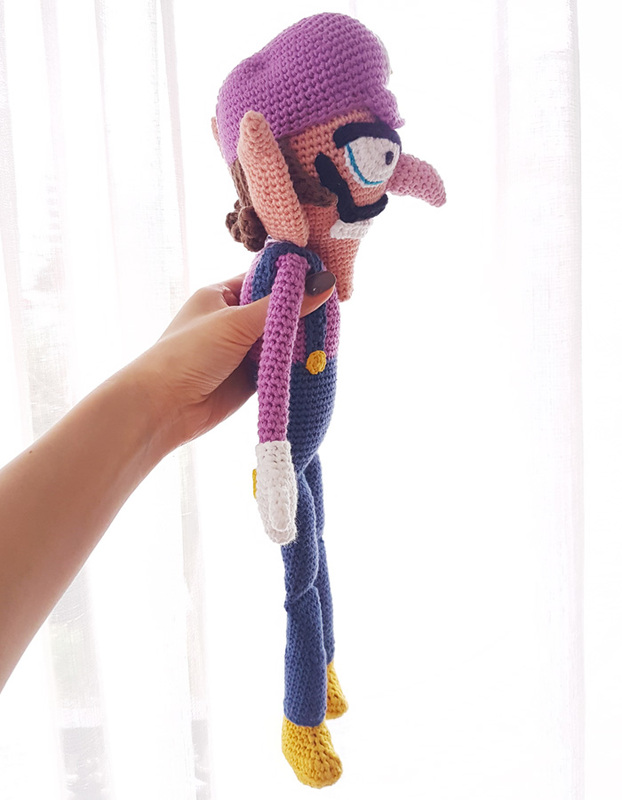 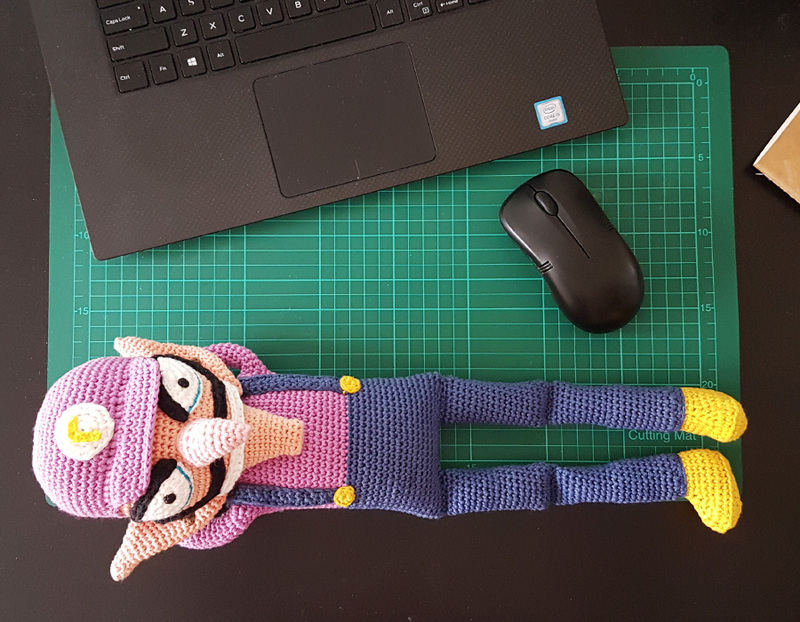 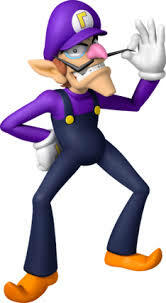 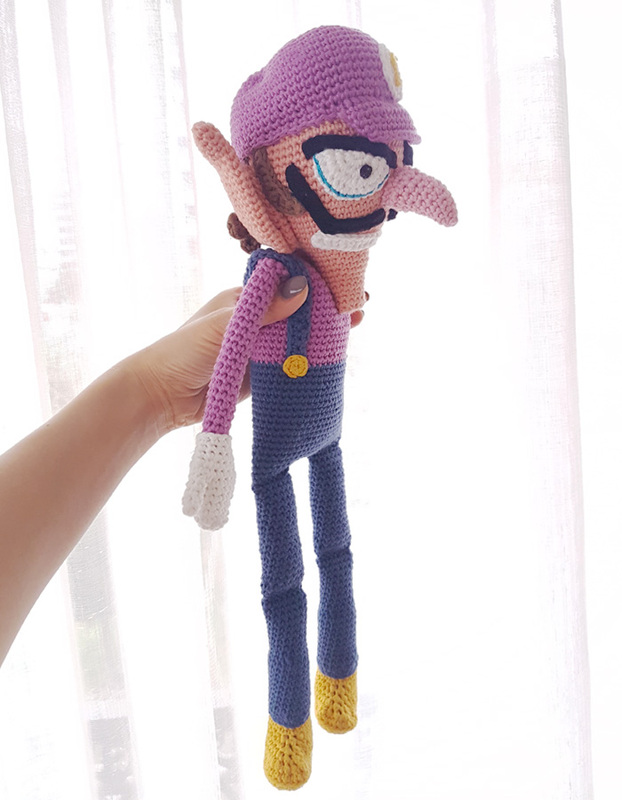 But for the bottom part of the legs, instead of stuffing with polyester filling, I’ve used the small green beans so that the weight can allow Waluigi to do more funny postures. 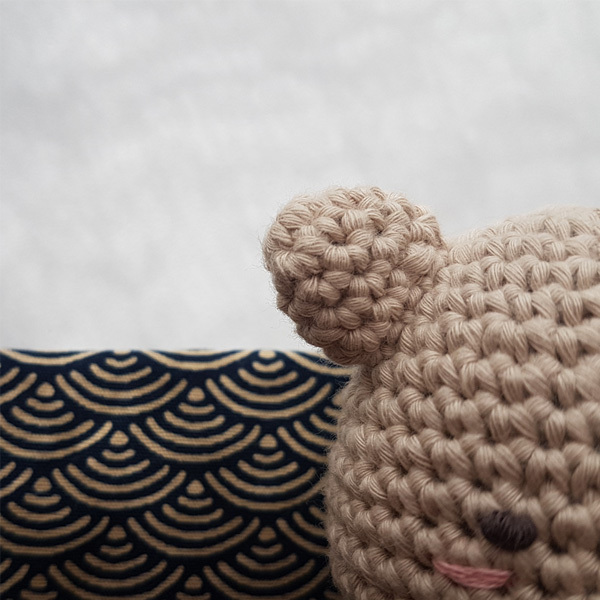 After making No-Face & Boh, I have decided to make Ootori-Sama to complete my Spirited Away Door Stopper set. 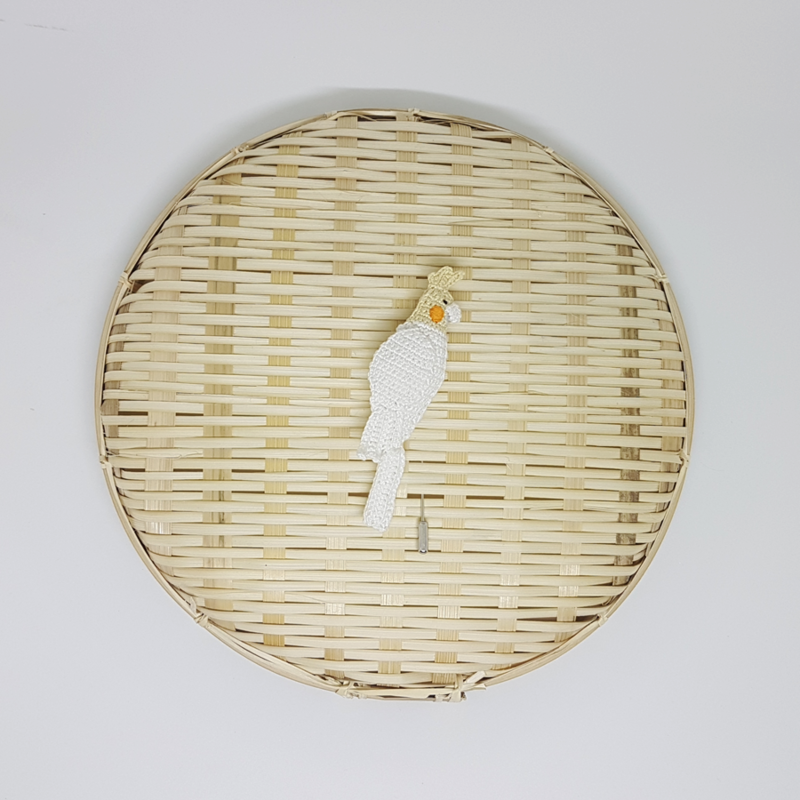 Ootori-Sama, sometimes referred as ‘the yellow duck’, are the clients of the Bathhouse in Spirited Away. 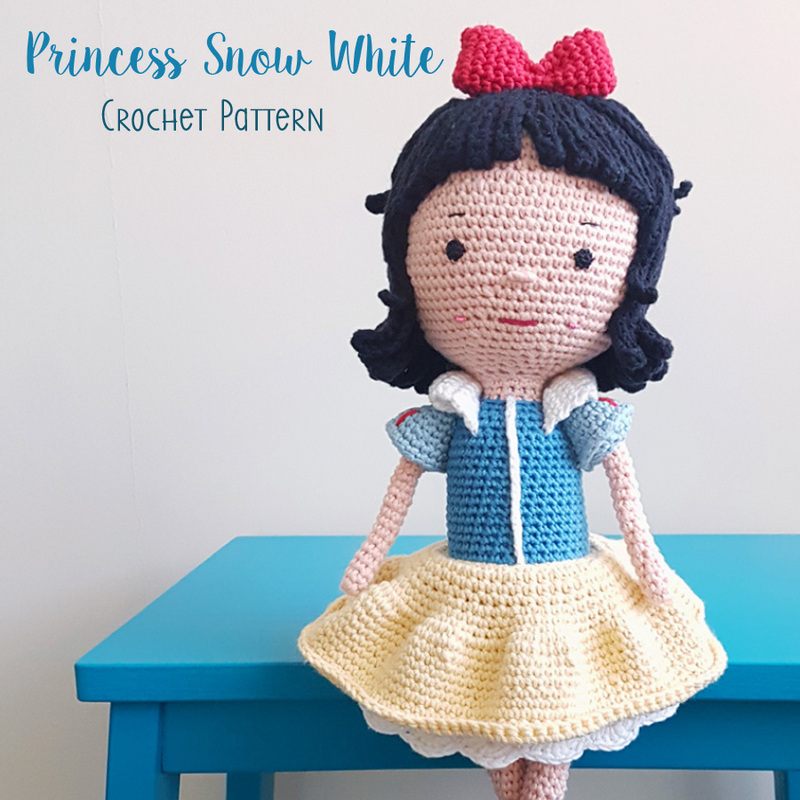 They are minor characters in the film but they can be your major door guard at home! 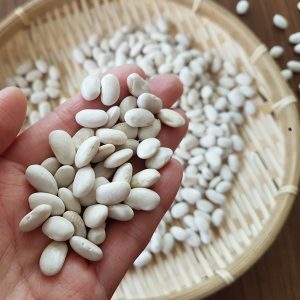 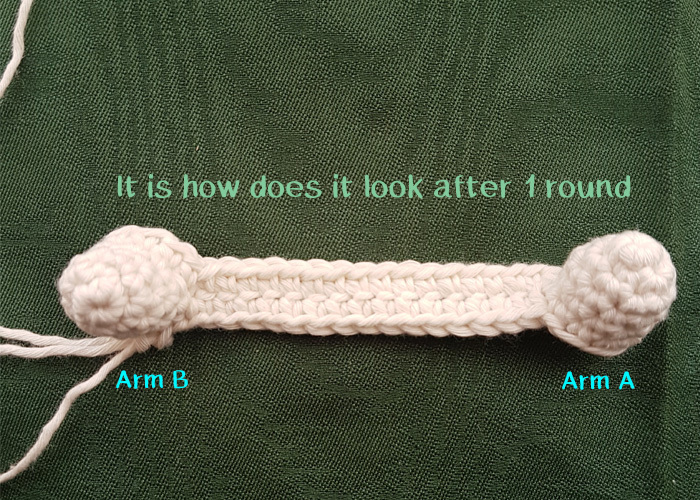 Try to fill up with as much beans/ rice as possible, it will affect the shape if it is too loose. 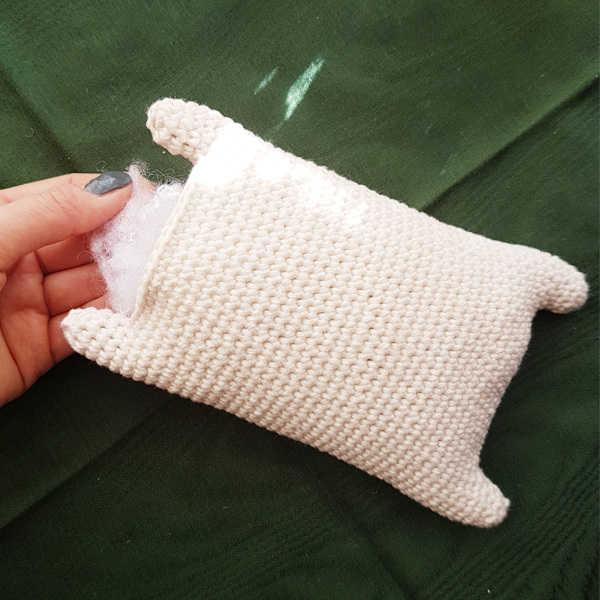 > Fill up the beak with some polyester filling while sewing it onto the body to give it a steady appearance. 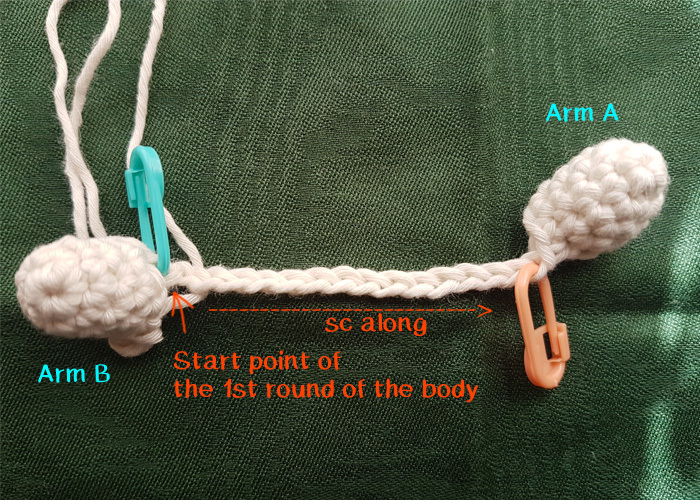 When all parts are ready, assemble them all on the main body. 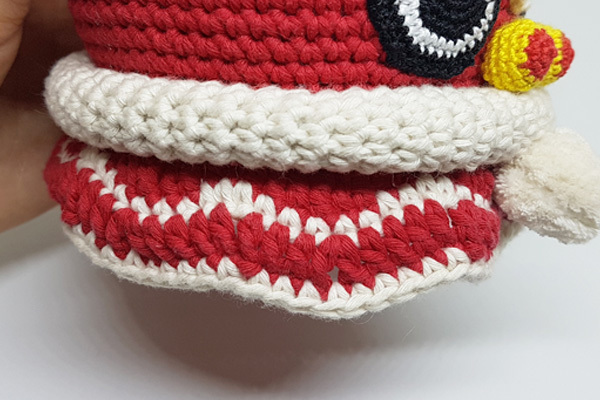 Last but not least, use black embroidery thread to sew the nostrils onto the middle upper part of the beak. 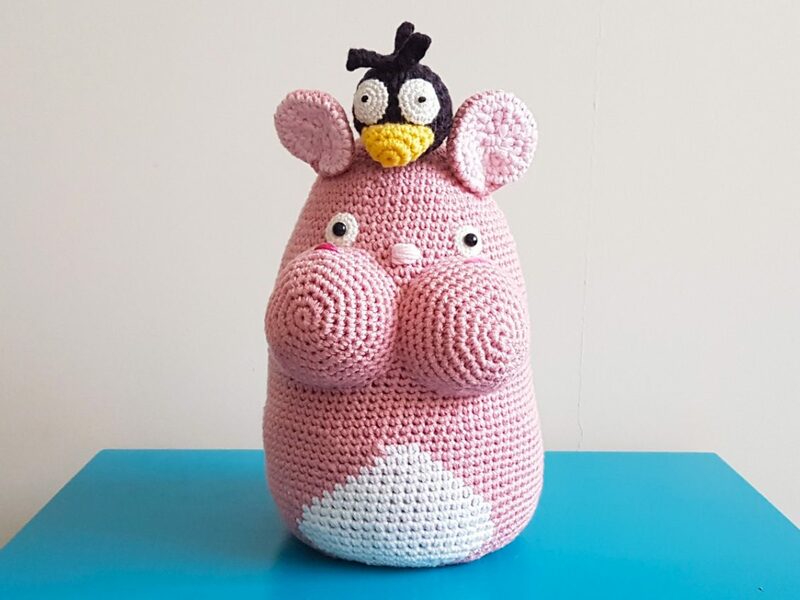 In case you haven’t seen this Japanese animated film, named “Spirited Away”, Boh was a large baby, I mean really HUGE, then one day he got shrank by his aunt and turned into a small grey mouse-like creature. 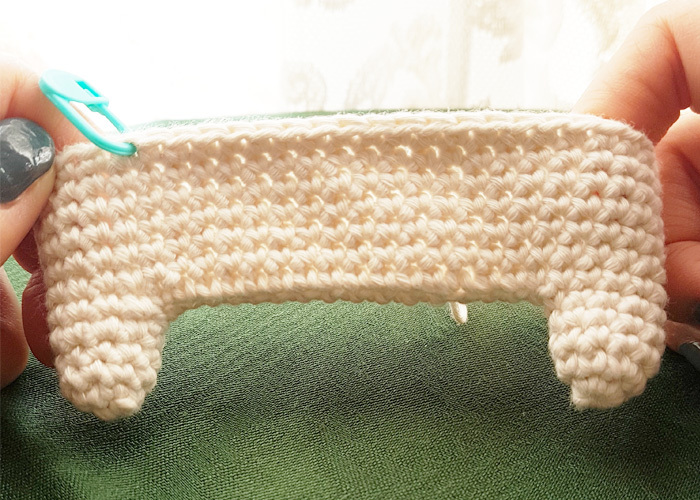 After I have made the No-Face door stopper, No-Face looked so lonely standing by the door itself. 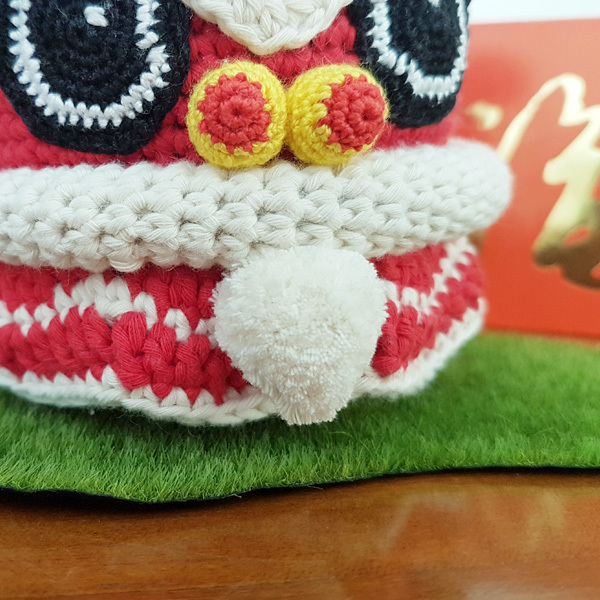 Therefore, I planned to make it some friends, Boh & Ootori- Sama. 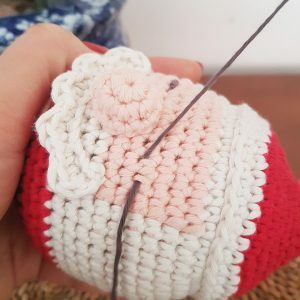 Use light pink embroidery thread sew a nose onto the face between the cheeks and shape pink thread to sew the blushes onto the cheeks. 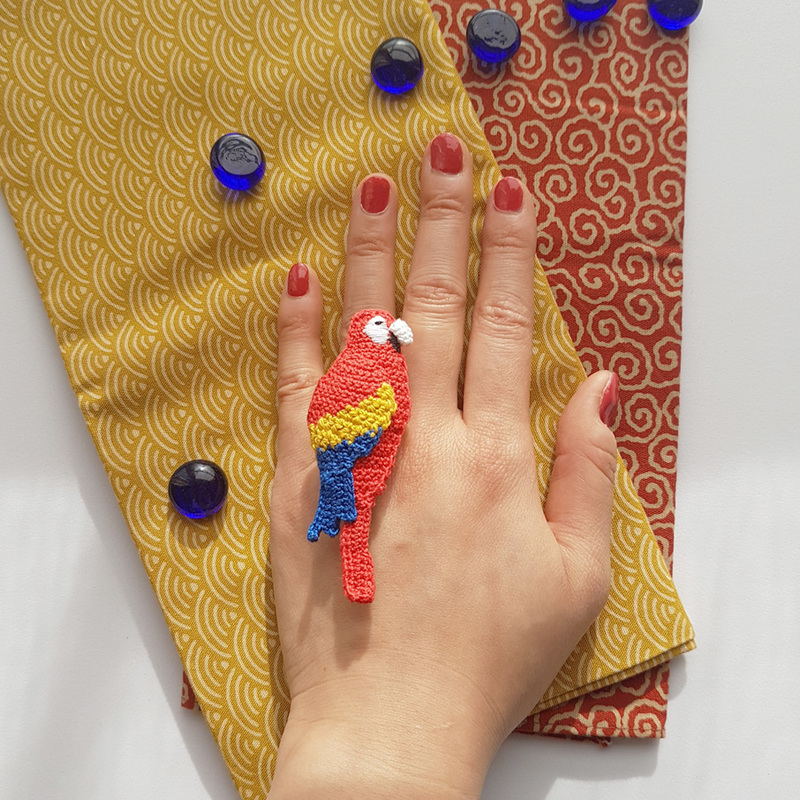 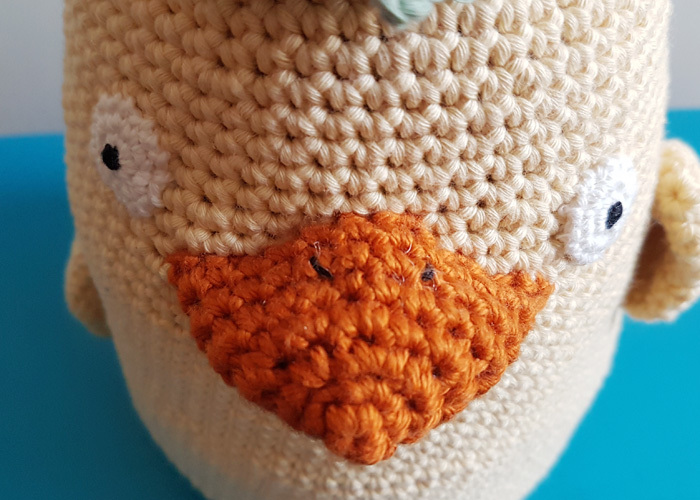 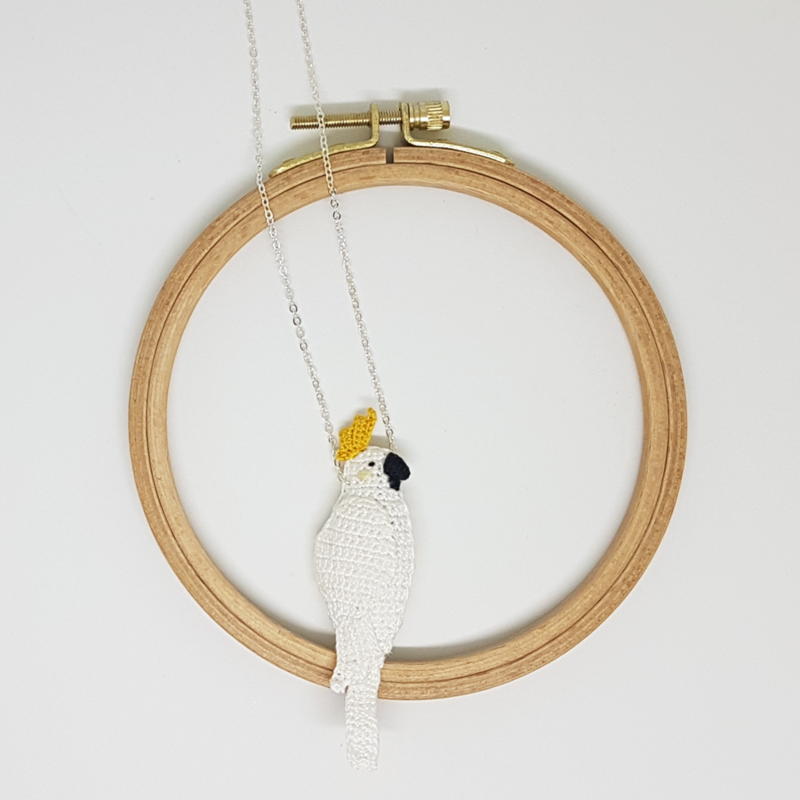 Assemble all parts together –>Fill up the beak with some polyester filling while sewing it onto the body to give it a steady appearance. 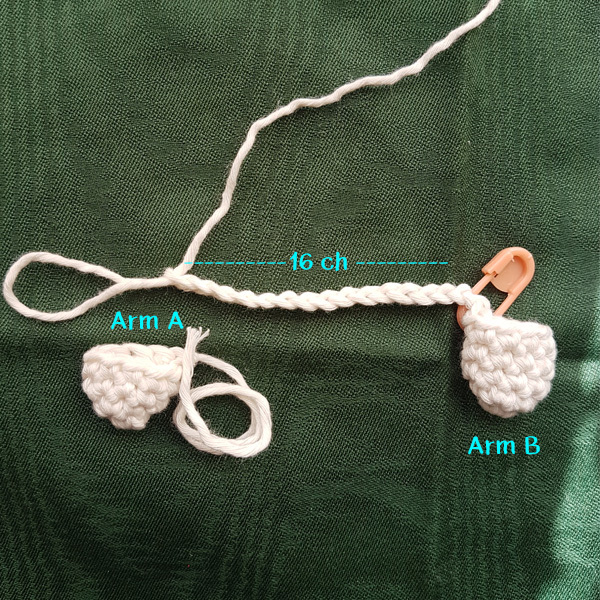 At the end, attach Yu-Bird on the top of the head of Boh between the ears. 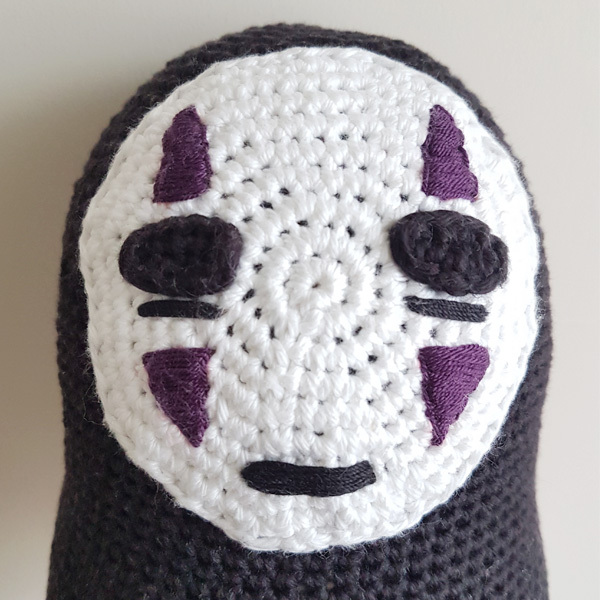 No-Face (Kaonashi) is a spirit in a famous Japanese animated film – Spirited Away, produced by Studio Ghibli. 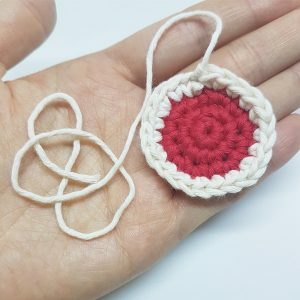 The idea of the door stopper came up in my mind because I recently moved into a new apartment and noticed that the doors got easily slammed by the wind whenever the windows were open, causing a loud noise. 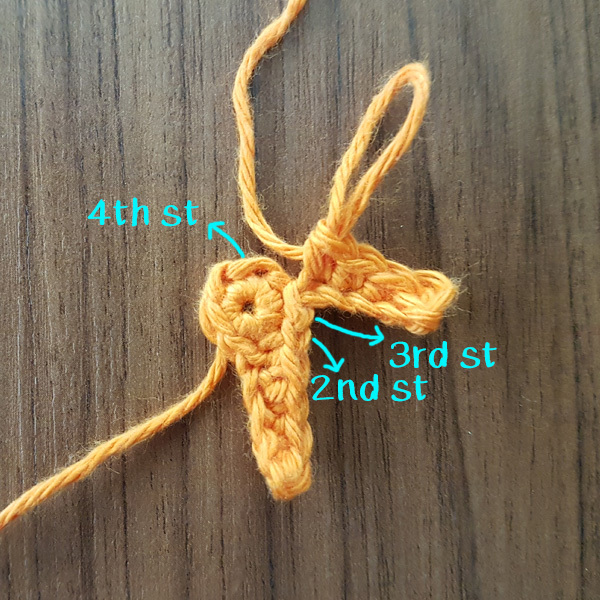 I didn’t want to get any complaints from my neighbors, so I thought I better come up with a solution ASAP. 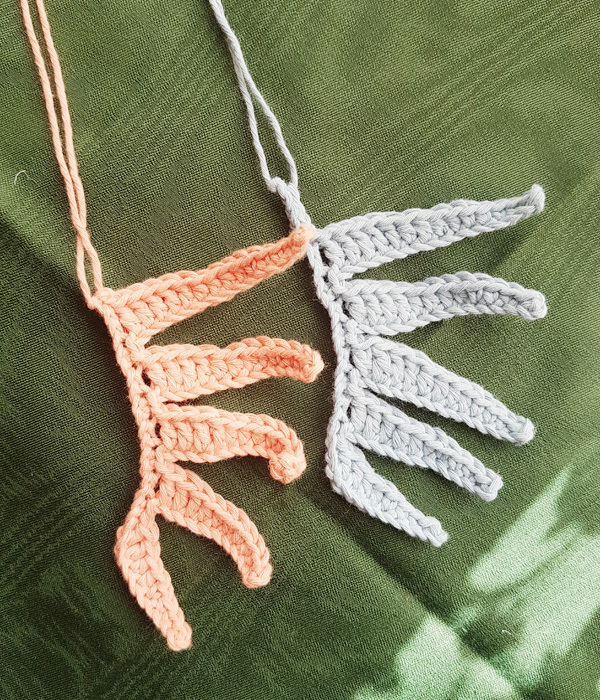 And besides the slamming door problem, Halloween was approaching, it was a good time to decorate the house! 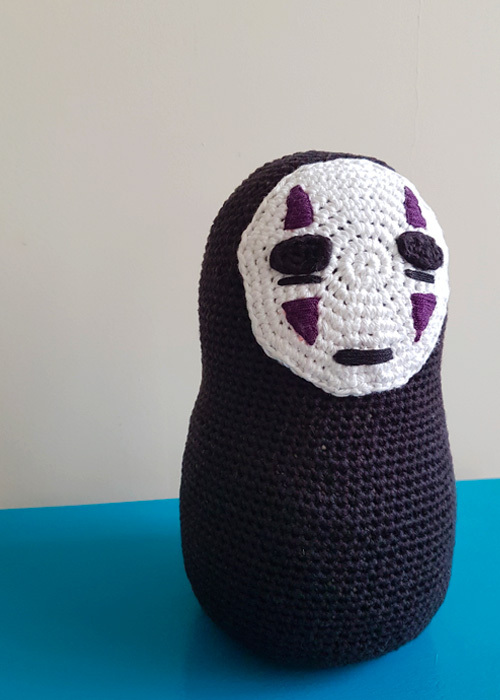 Then I remembered this No-Face spirit from one of my favorite Studio Ghibli animated films (I love their animated films so much!! 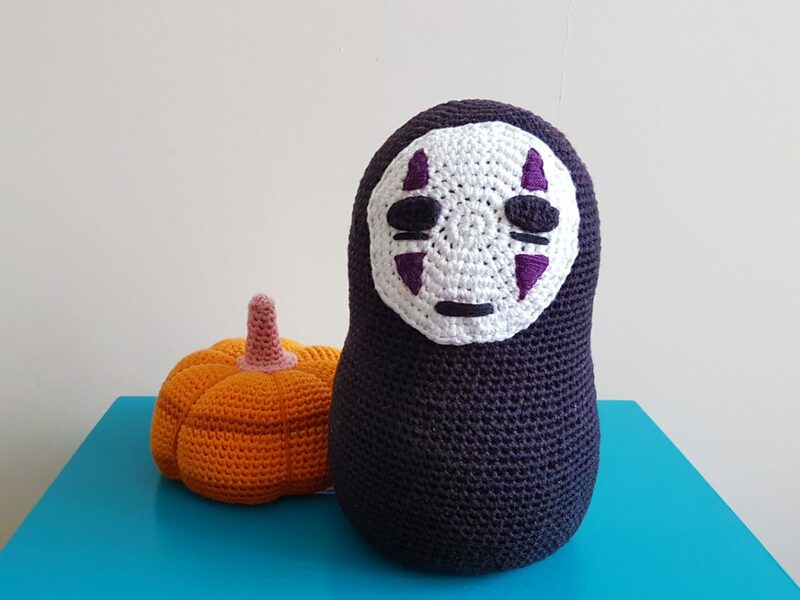 ), Spirited Away, and I think its image is a great match for the Halloween theme. 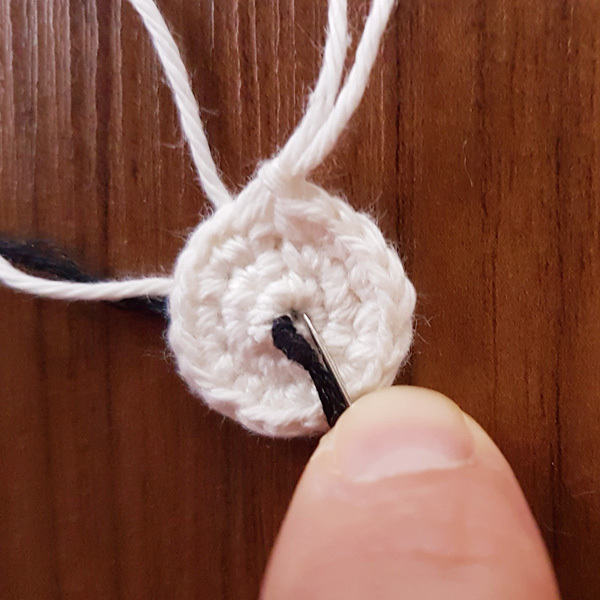 So I put these 2 ideas together and created this “No-Face Door Stopper”. 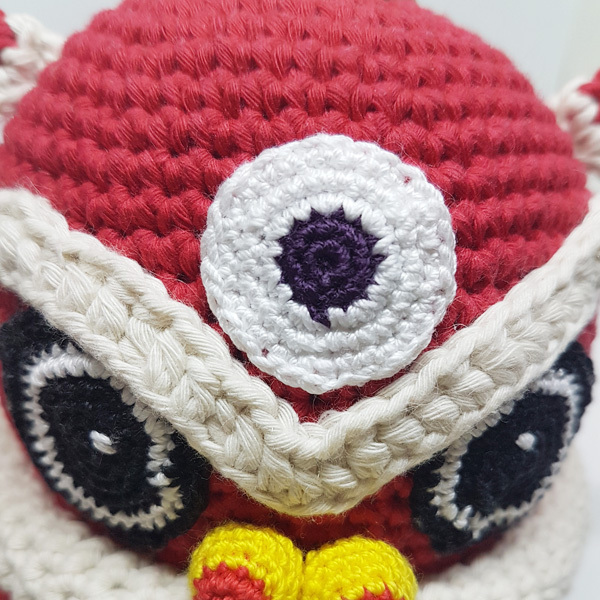 Assemble the eyes on the face. 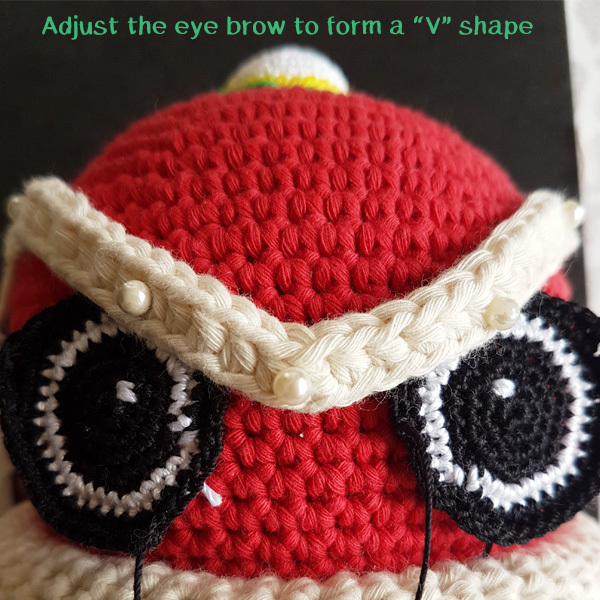 Use the fabric marker to mark 4 triangles, 2 above the eyes & 2 below the eyes. 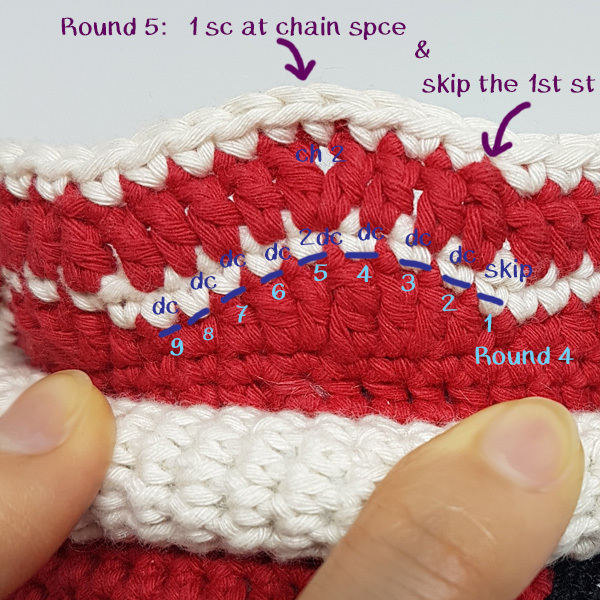 Get the purple embroidery thread ready, follow the marks and embroider the triangles. 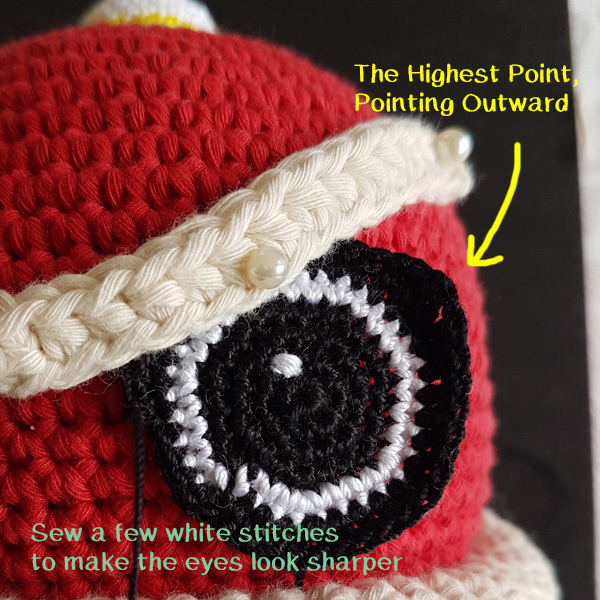 Next, use black embroidery thread to embroider the mouth and the lines below the eyes. 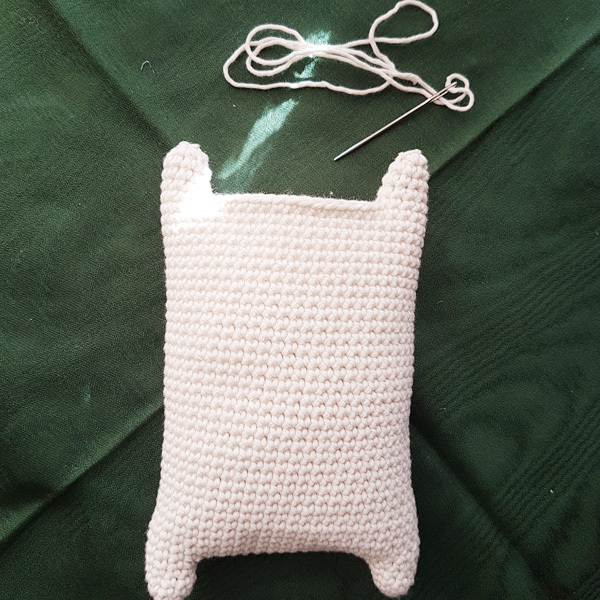 Last step, sew the face onto the head. 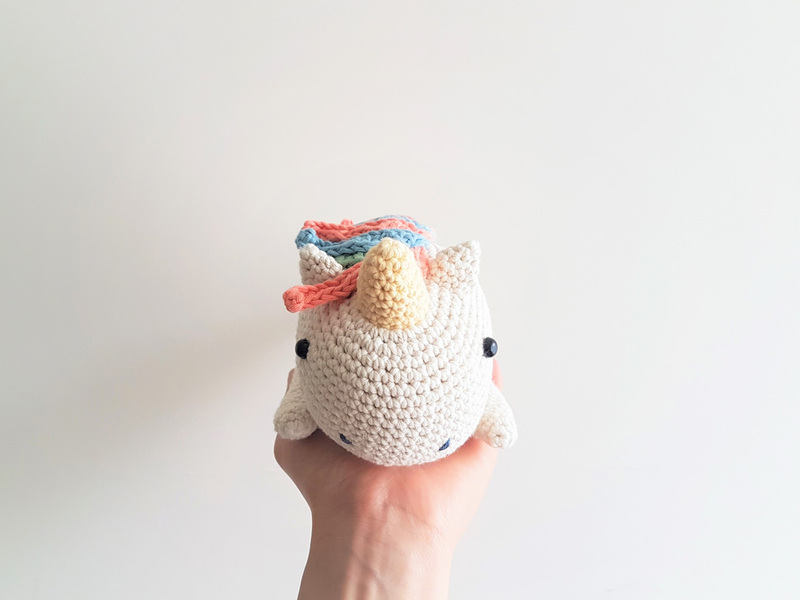 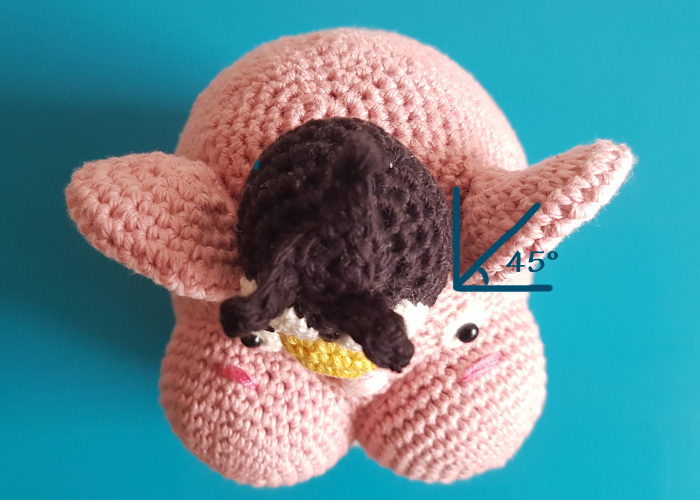 Please feel free to contact me if you have any questions about the pattern. 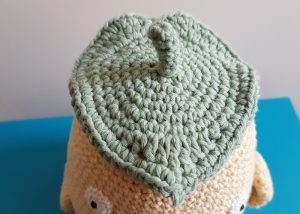 And it would be super nice if you can share with me your finished product of this pattern!! 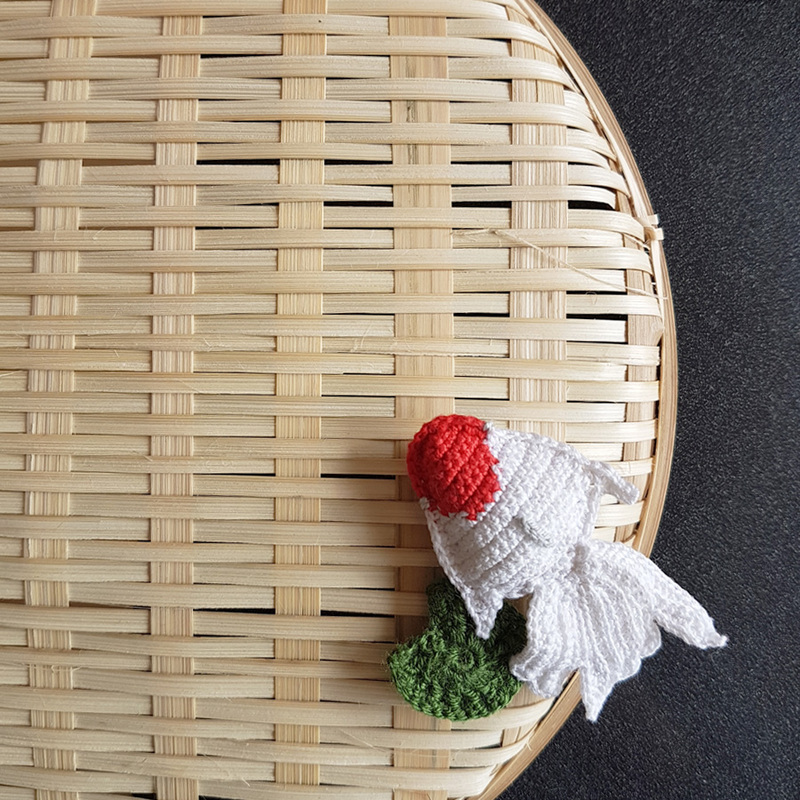 There are two more patterns in this Spirited Away door stopper set, you can find them here: Boh & Ootori-Sama. 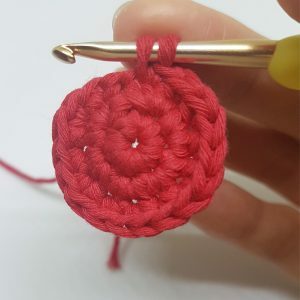 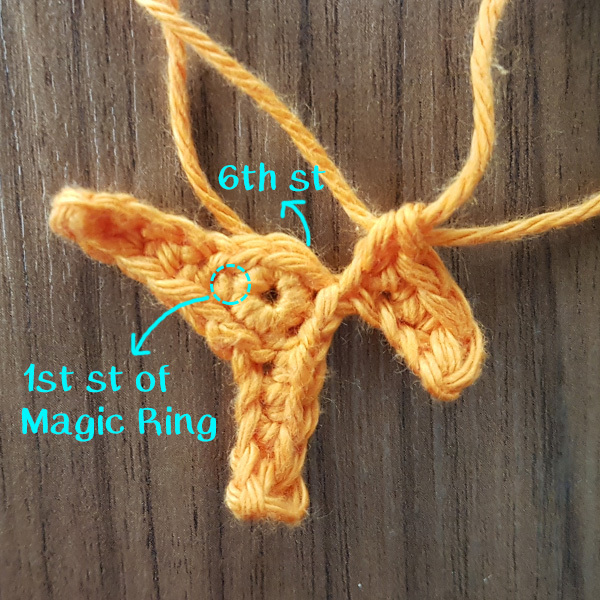 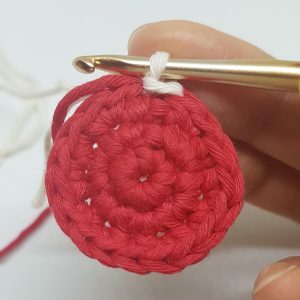 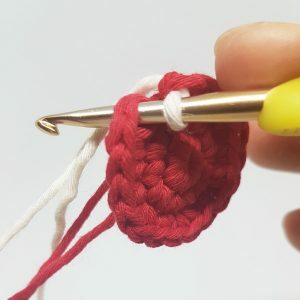 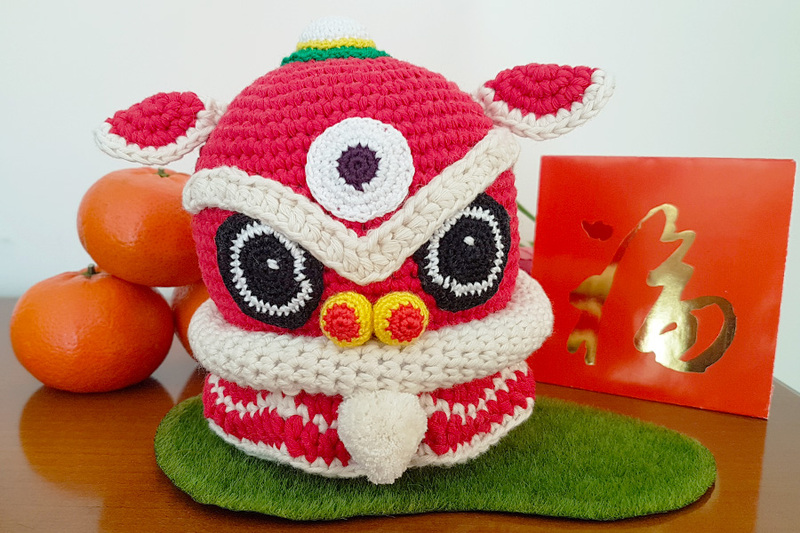 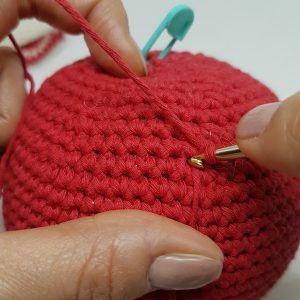 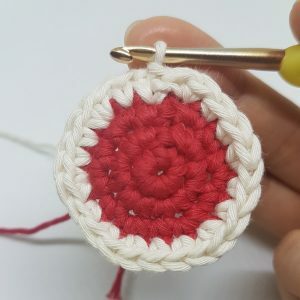 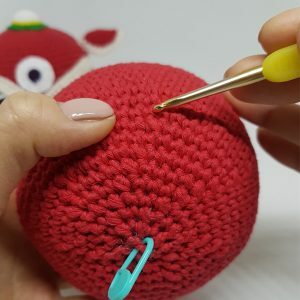 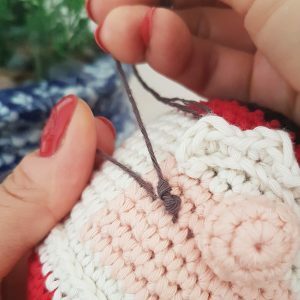 Use the same red cotton yarn as the lion head, hook goes through the holes as shown in the picture above, yarn over and pull the yarn out through the first hole, then chain 1. 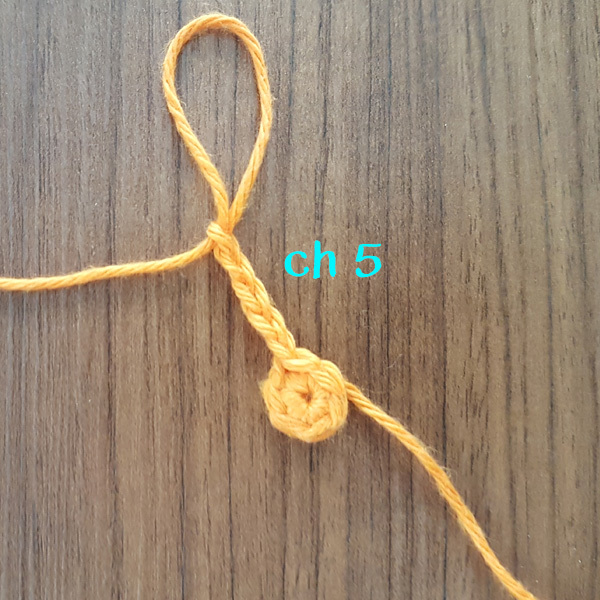 This chain will count as a stitch. 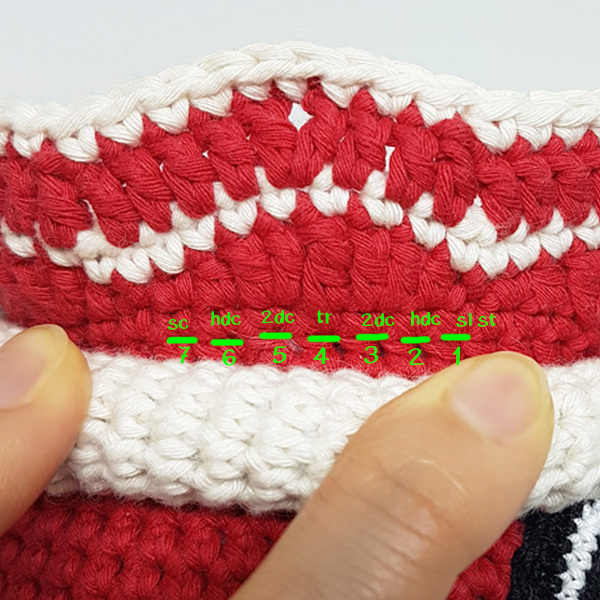 As the lion head is working in spiral rounds, we have to do some adjustment so that the beginning and the end are aligned. 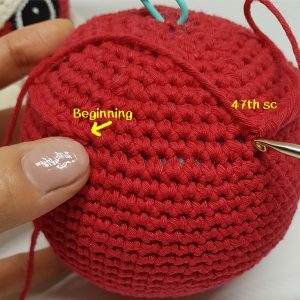 I did the adjustment at the 47th sc. 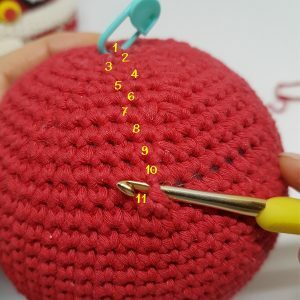 You can see the picture below, the beginning stitch is 1 row below. 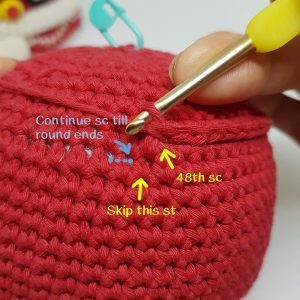 So, instead of continuing sc on the same row, we have to switch it to 1 row below. 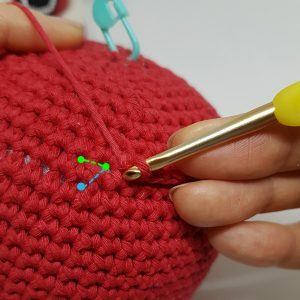 You can see the left hand side picture, instead of following the green line to make another sc, we follow the blue line. 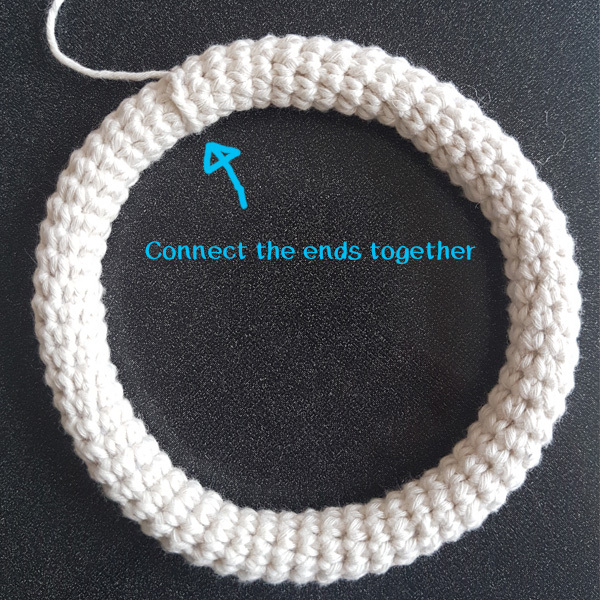 Skip the closest bridge after the 48th sc, sc into the next bridge (the blue line as shown in the picture) and continue till round ends. 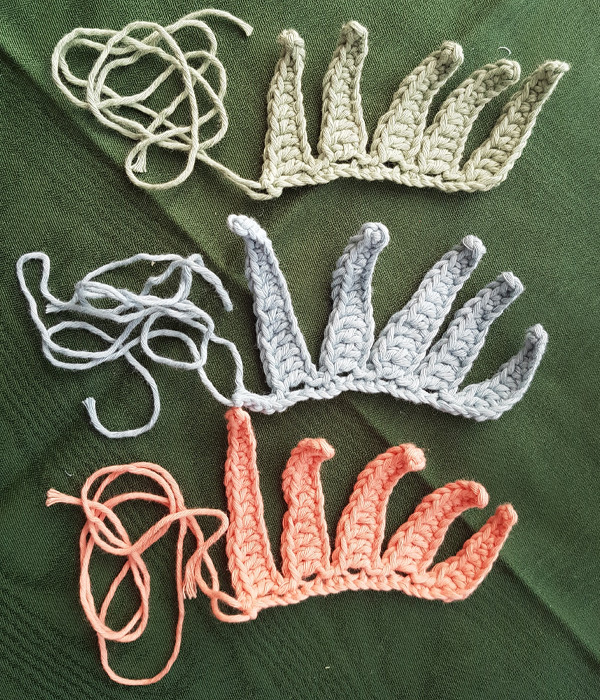 Round 1 of the Lion Costume is done. 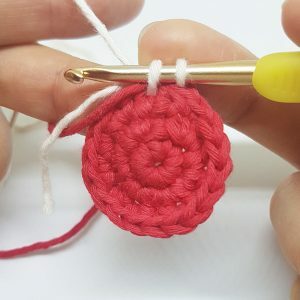 In round 2, 7 sts work as a group. 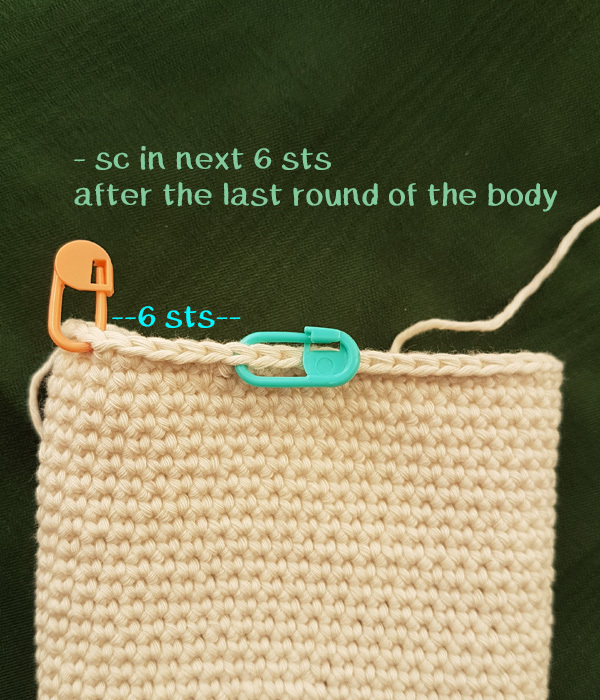 In Round 4, 9 sts work as a group. 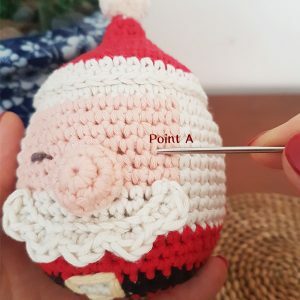 Make a PomPom and trim it patiently to form a mustache like shape. 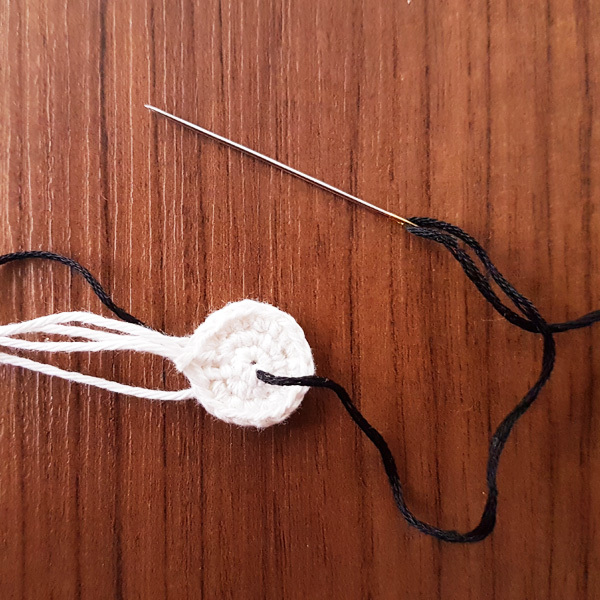 The last step is to assemble all together. 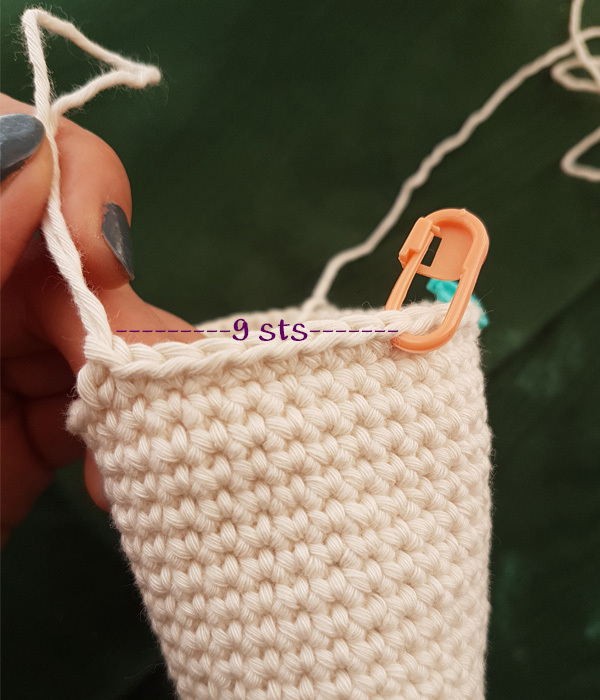 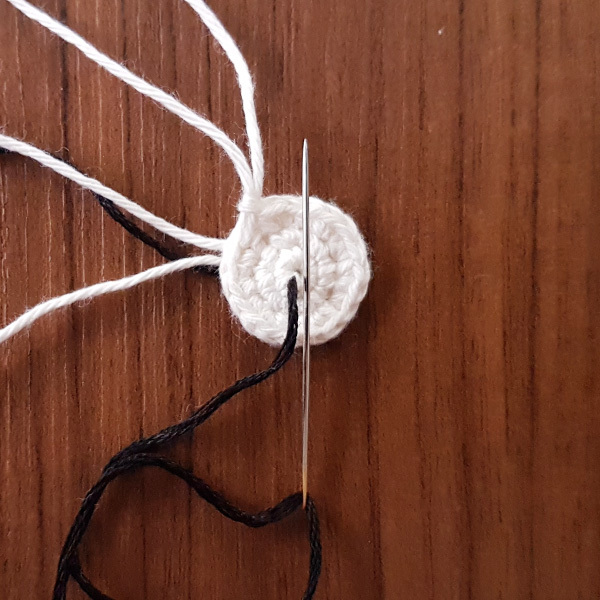 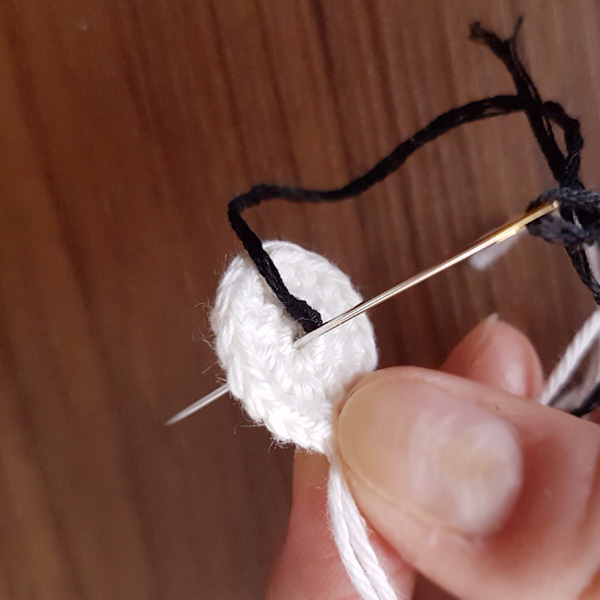 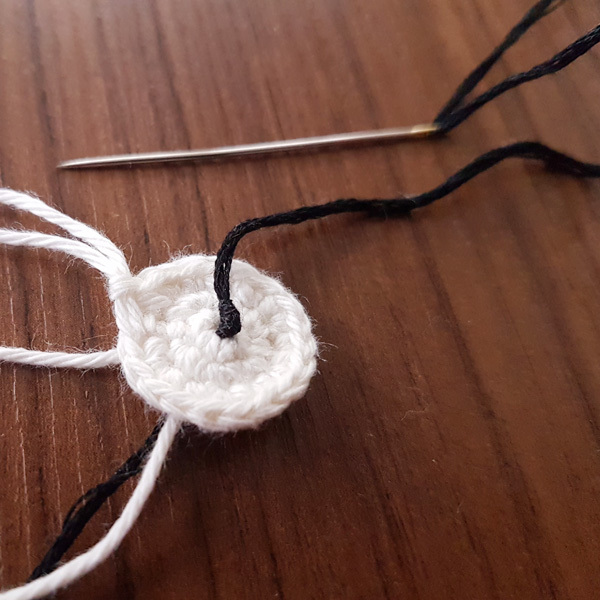 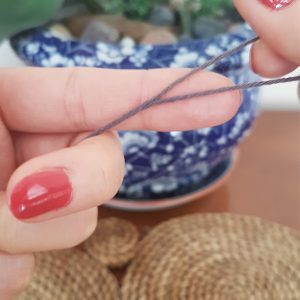 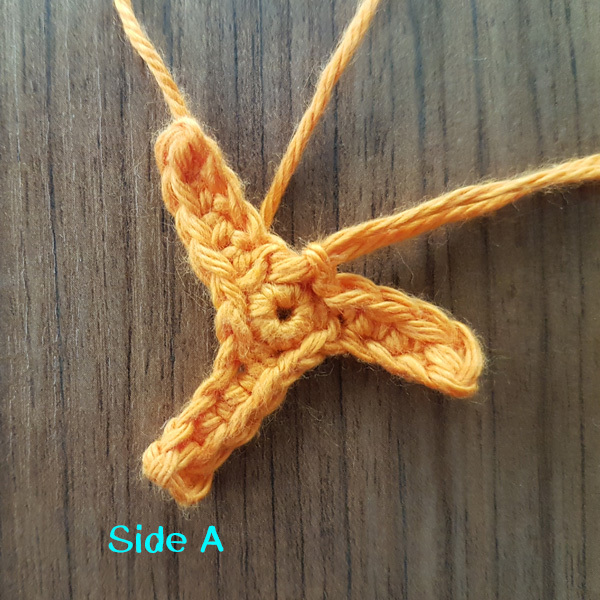 For the lace cotton yarn, it is better to use small size of needle instead of tapestry needle. 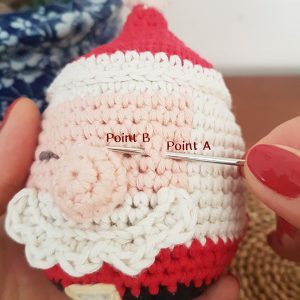 Looking for more X’mas ornaments to decorate your Christmas tree? 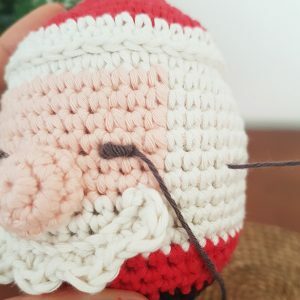 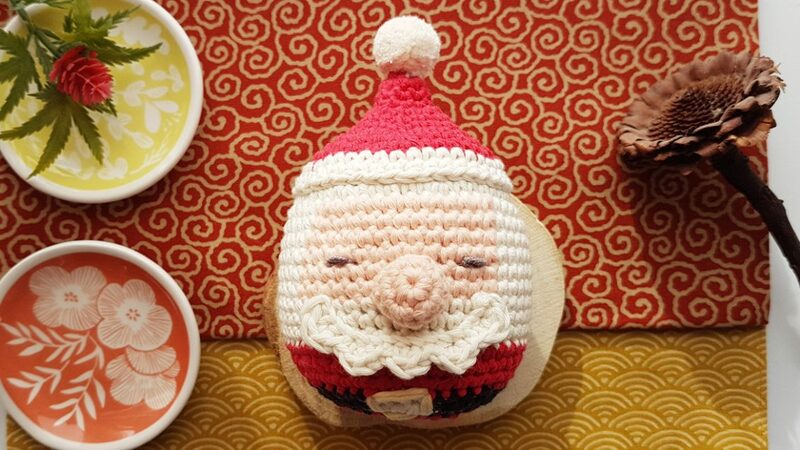 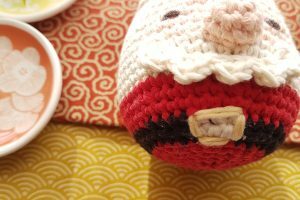 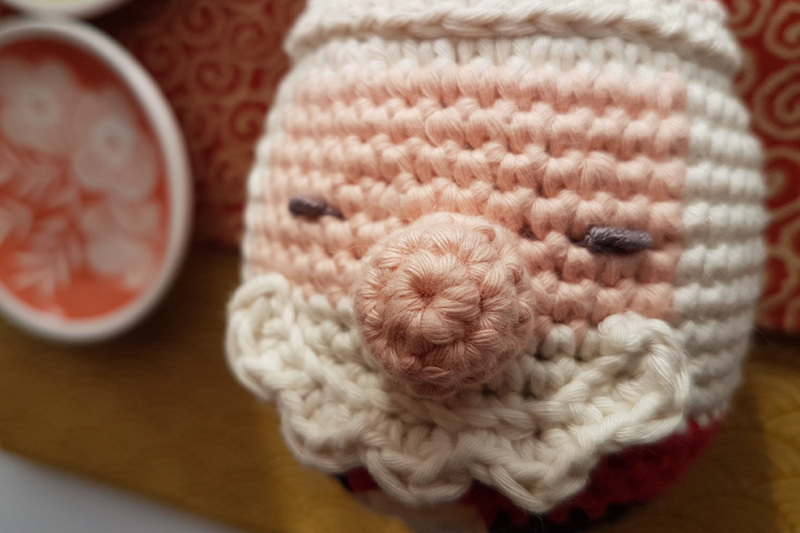 This chubby Santa Clause is easy and fast to make. 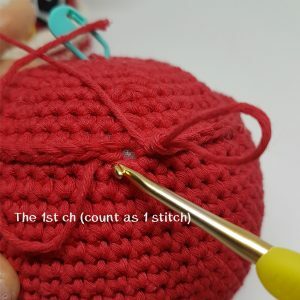 **For color change, you have to work at the stitch before the color change. 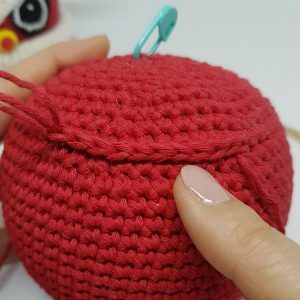 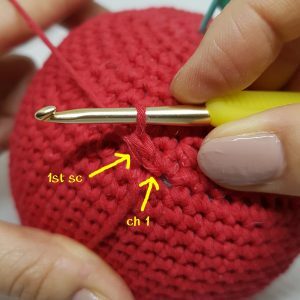 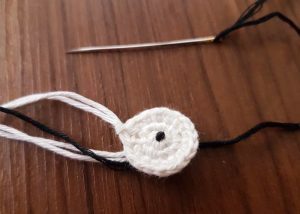 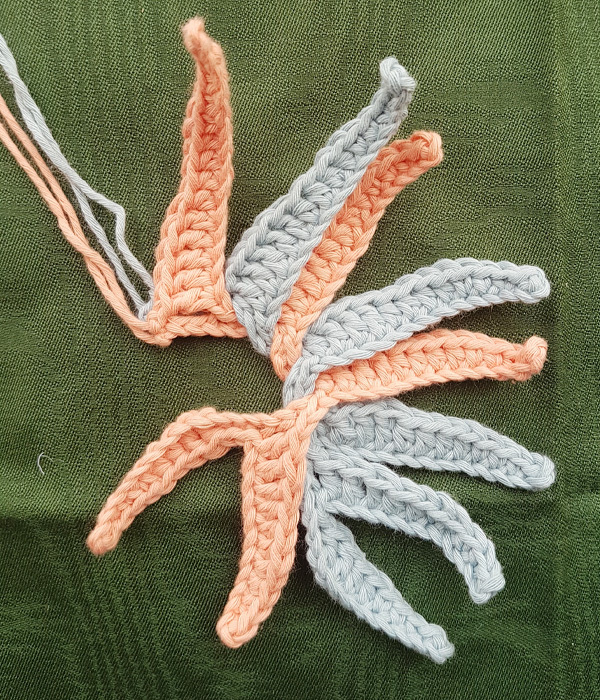 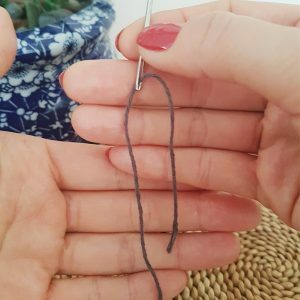 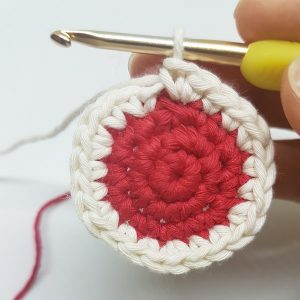 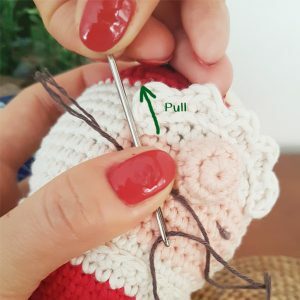 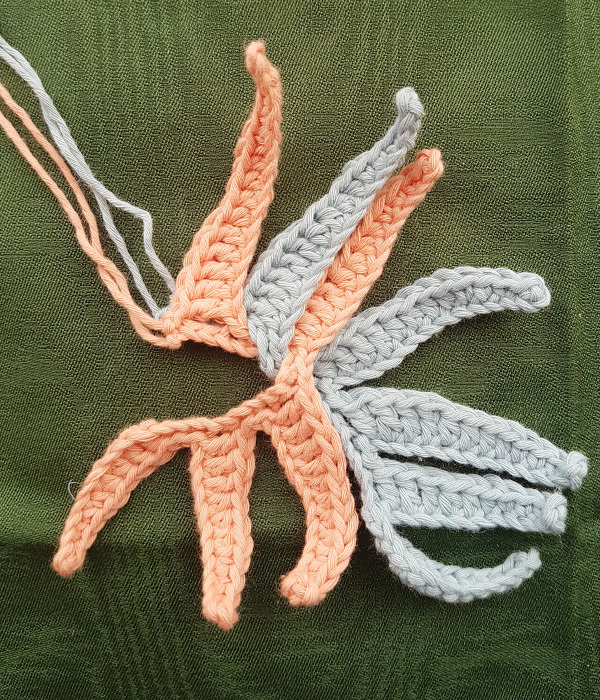 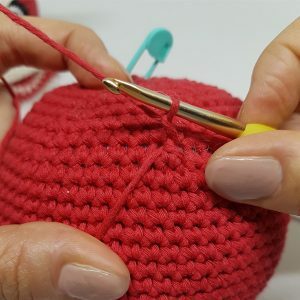 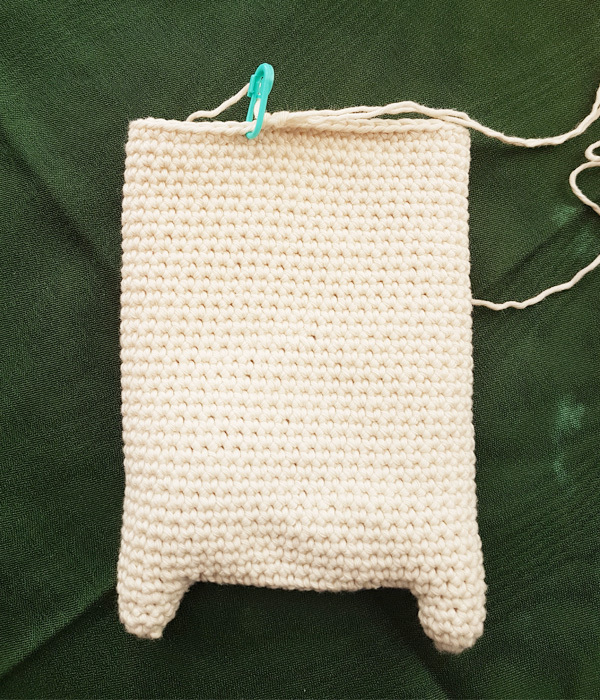 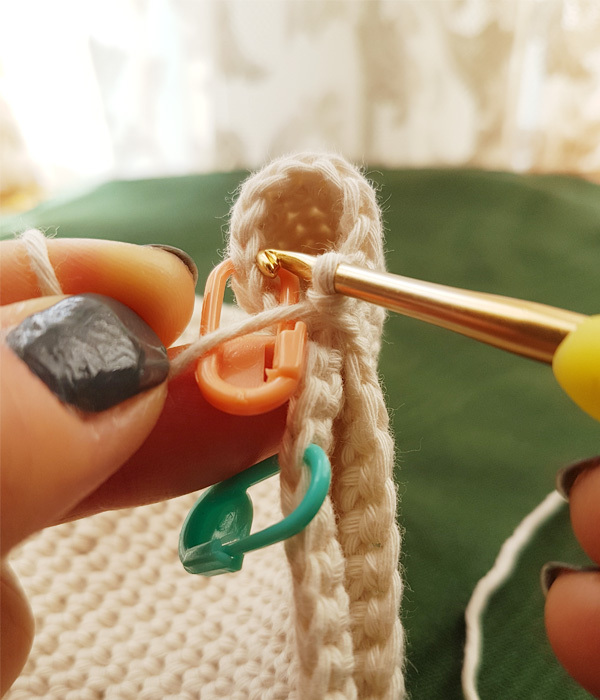 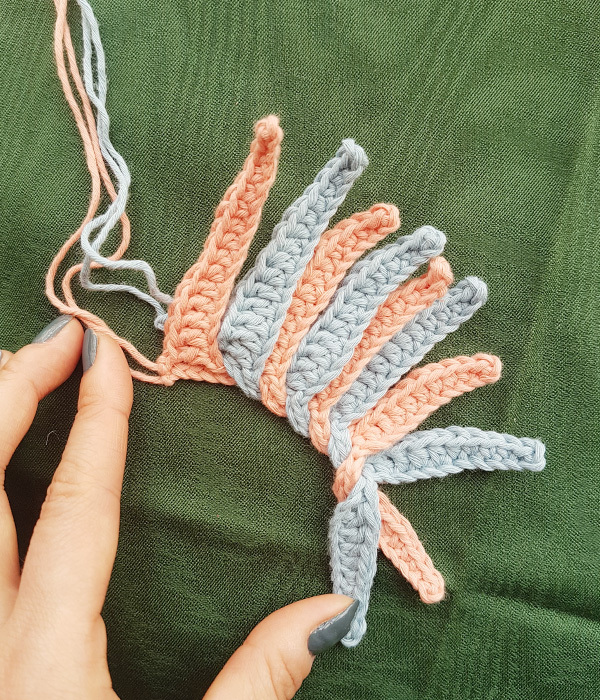 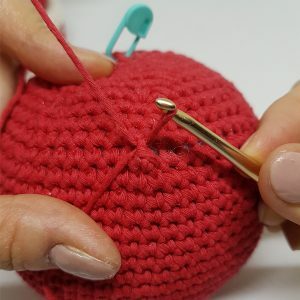 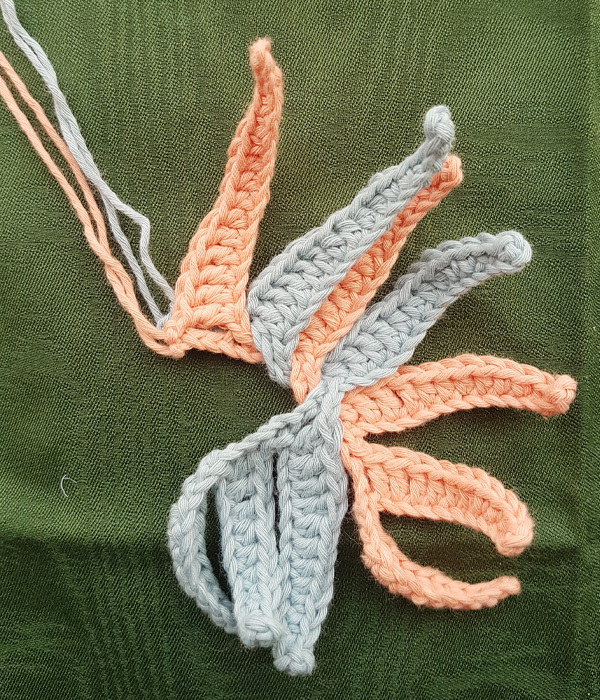 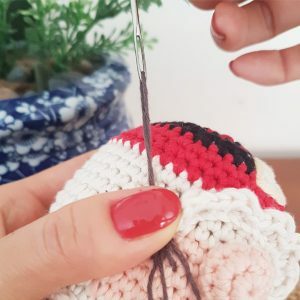 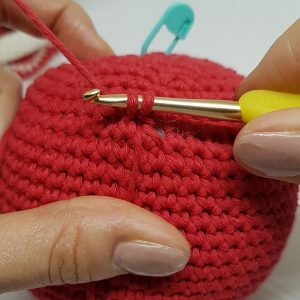 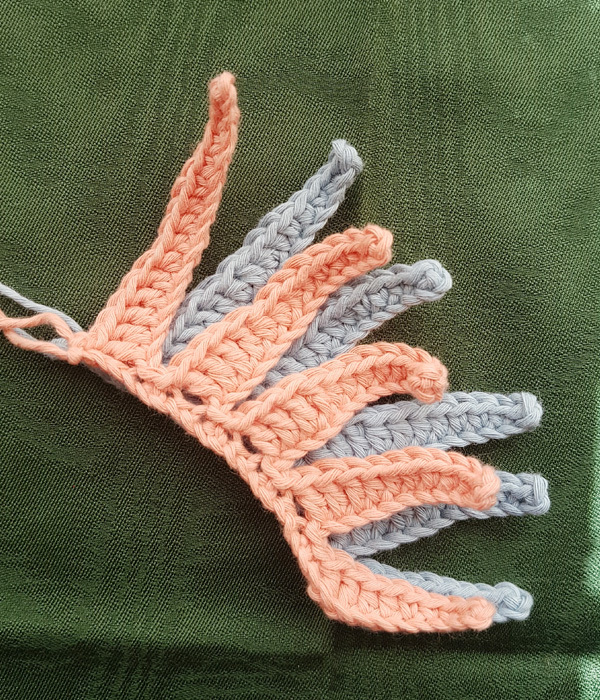 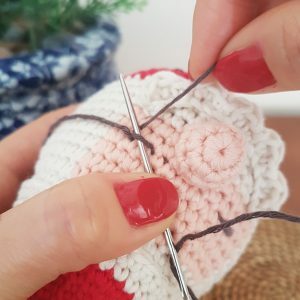 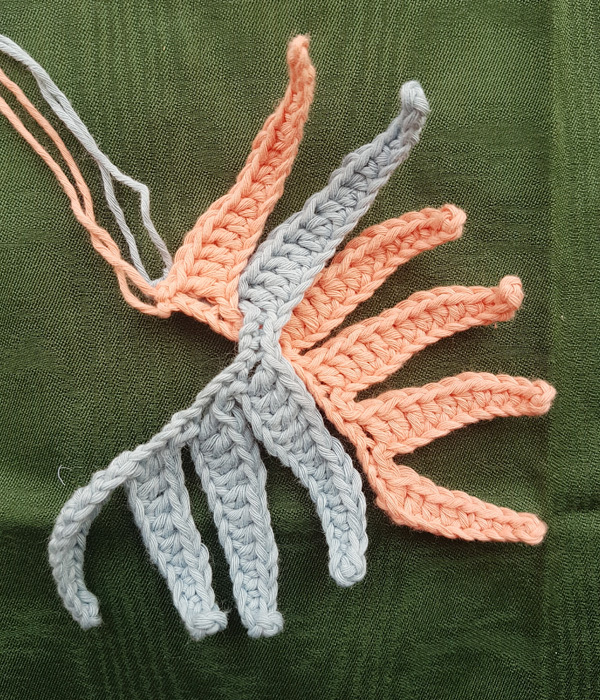 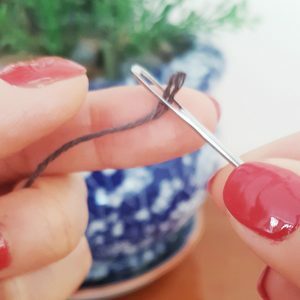 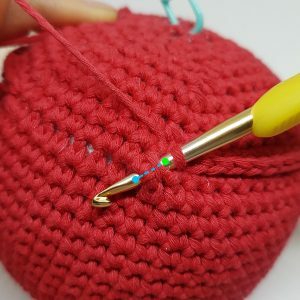 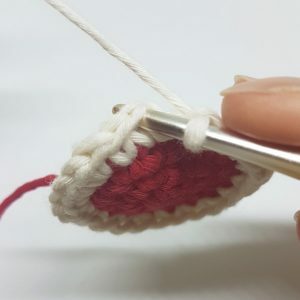 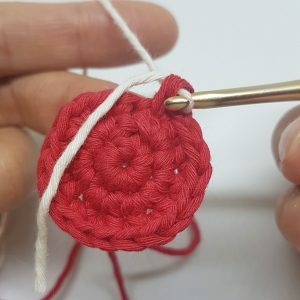 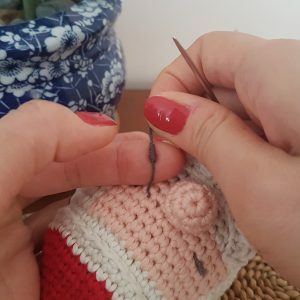 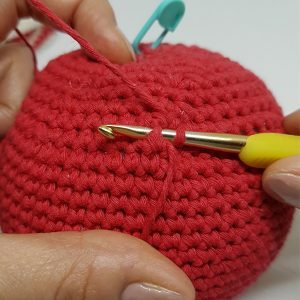 If you are working on the single crochet, before finishing up the last stitch by yarn over the same color of yarn and pull through the 2 loops on the hook, you change the yarn into a new color and yarn over it and pull through the 2 loops on the hook as normal, then slip stitch in next stitch and continue the pattern. 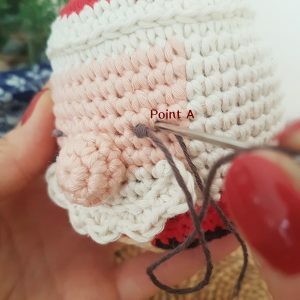 *While attaching the nose on the face, remember to add some filling to the nose to keep it firm. 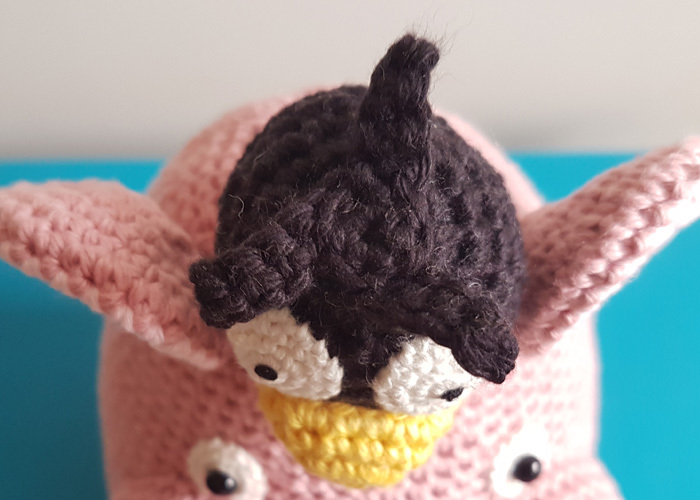 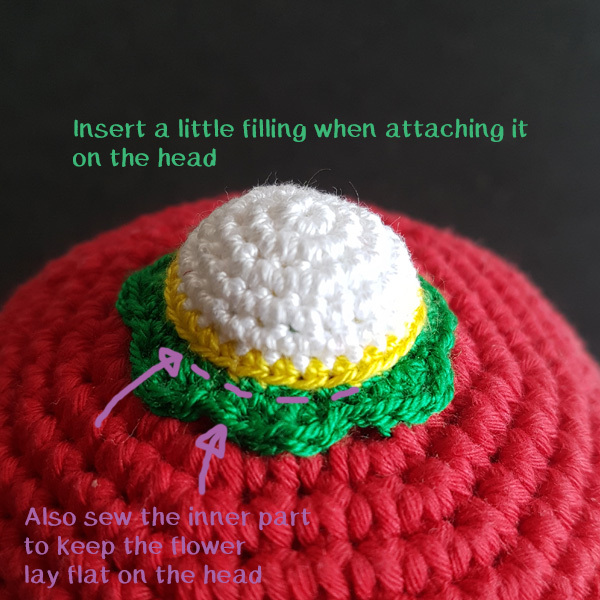 The last step to finish the hat is to make a mini pompom on the top of the hat. 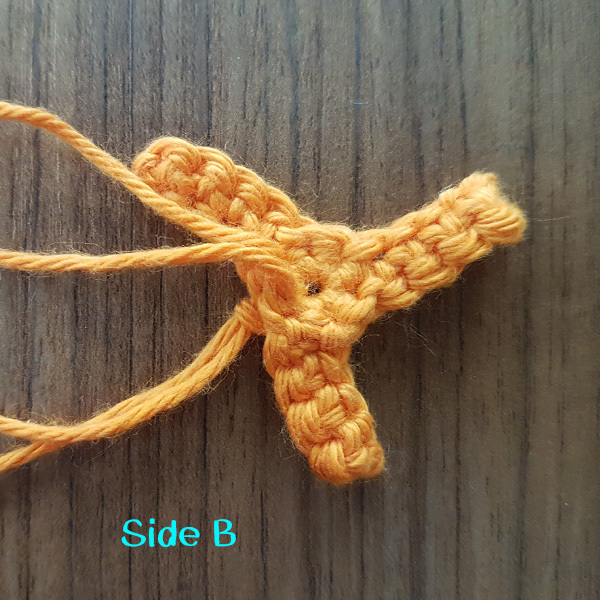 It is easy to make, what you need are a fork and a pair of scissors. 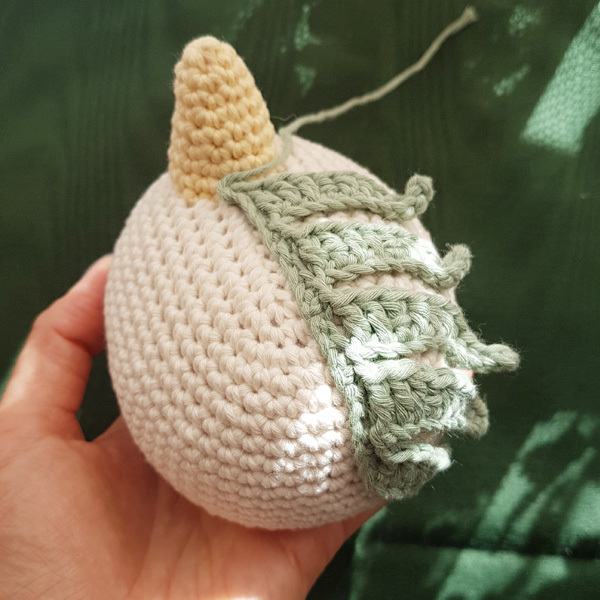 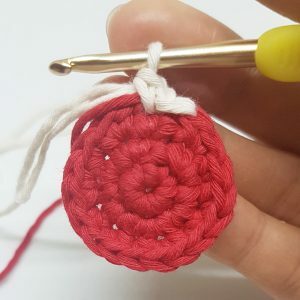 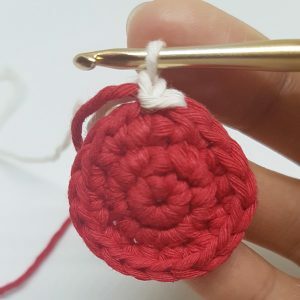 I followed the link Here which is by Red Ted Art to make my mini pompom. 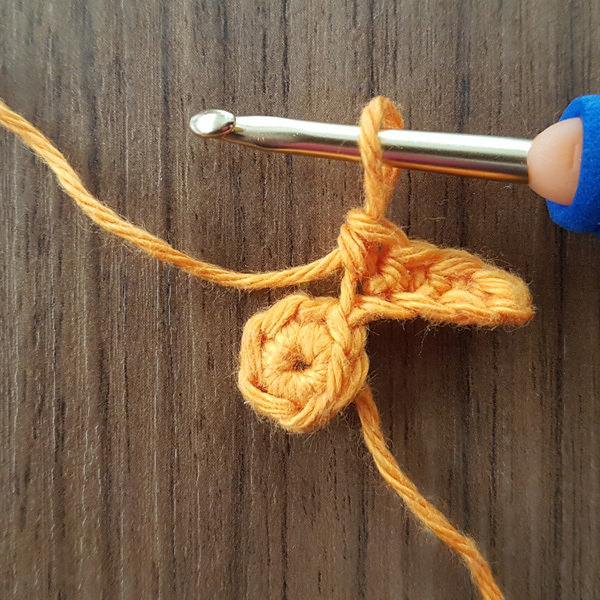 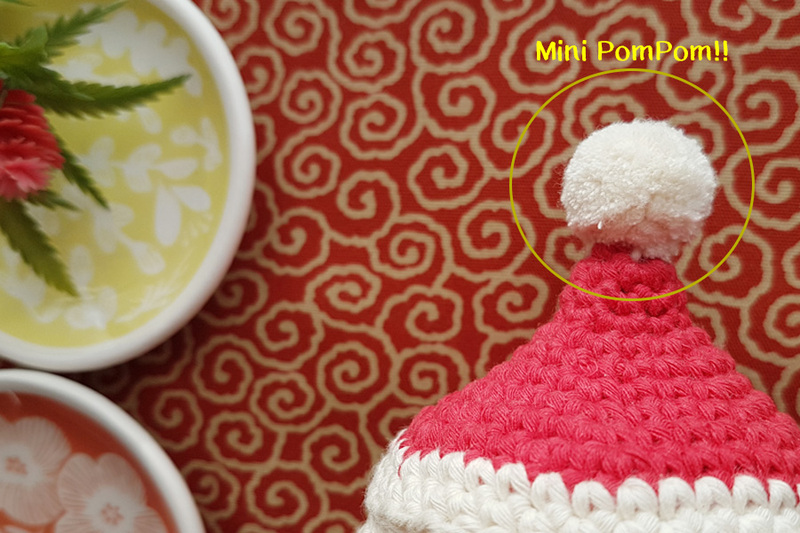 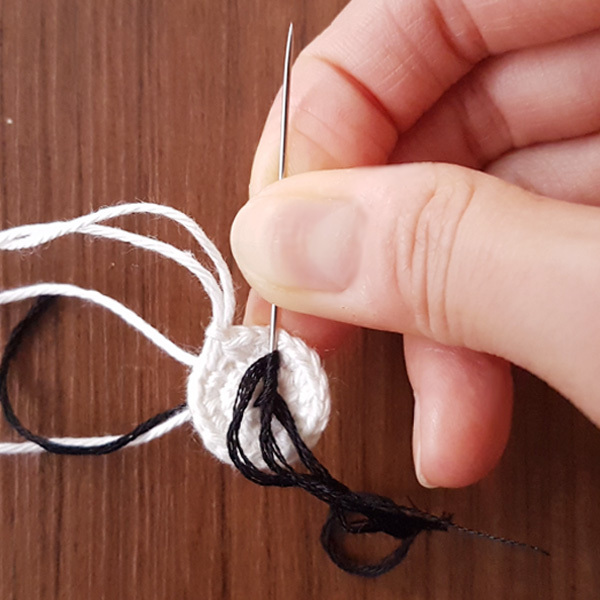 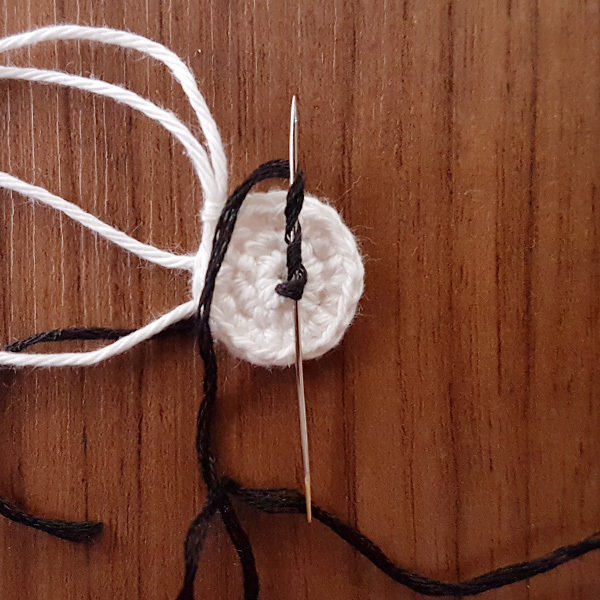 After you have made your mini pompom, just use the same color of yarn and assembly it on the tip of the hat. 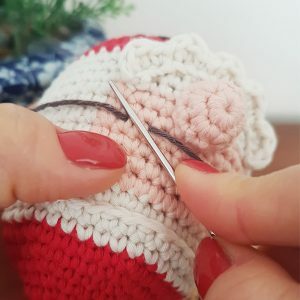 Now, you can attach a string close to the top of the hat and hang it up on your Christmas tree!! 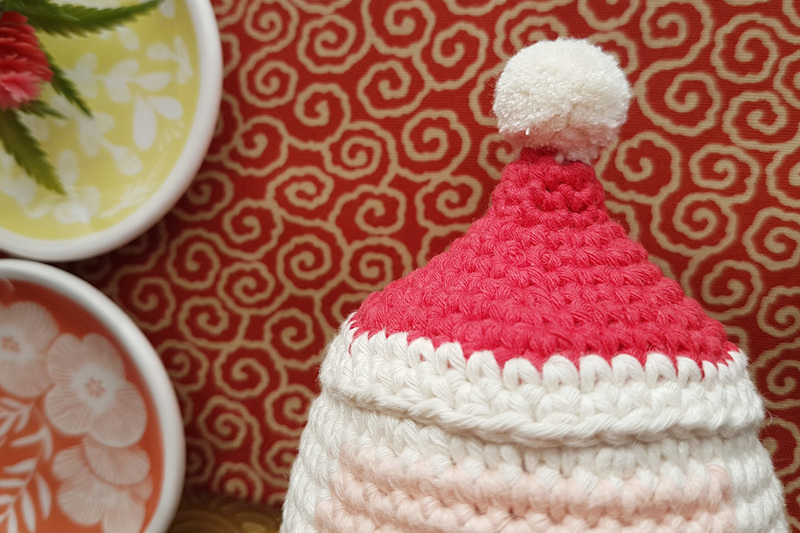 Just make as many as you like and decorate all on your tree. 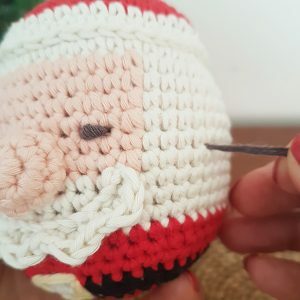 I hope during crocheting this Santa Clause, it does bring you a lot of joys! 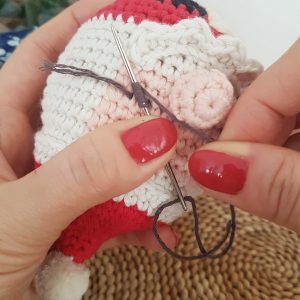 Looking forwards to seeing your own made Xmas Santa Clause Ornament! 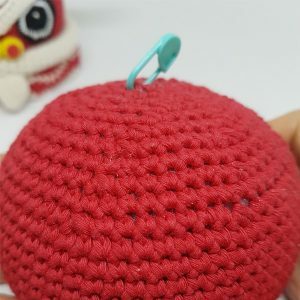 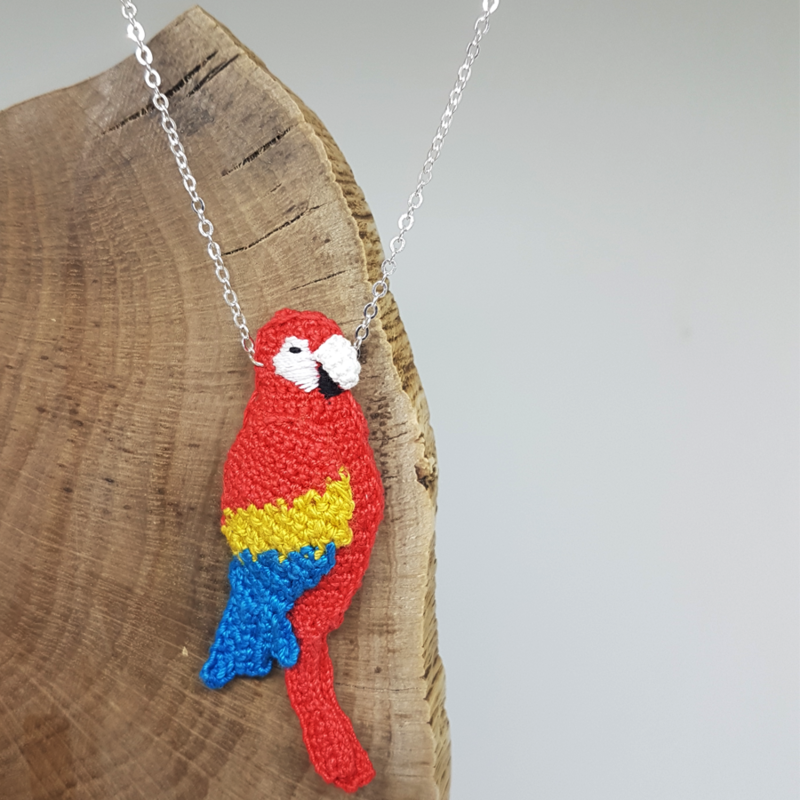 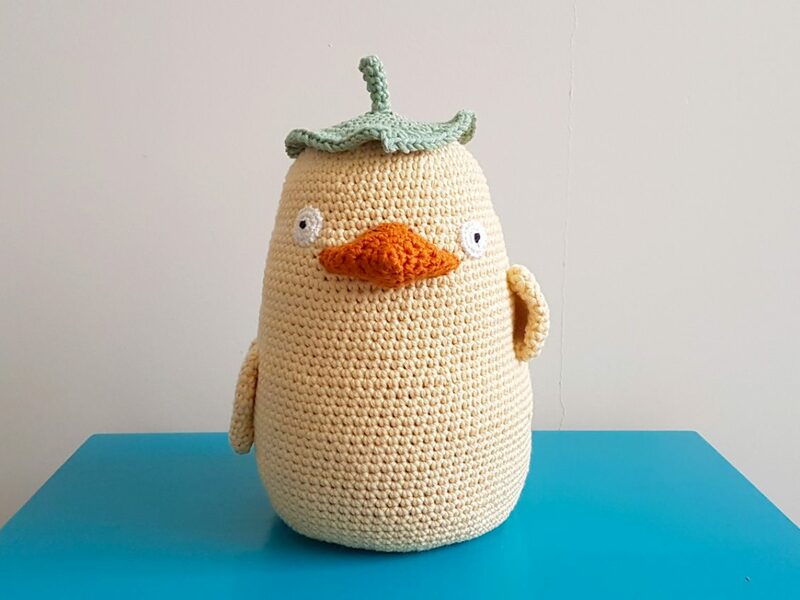 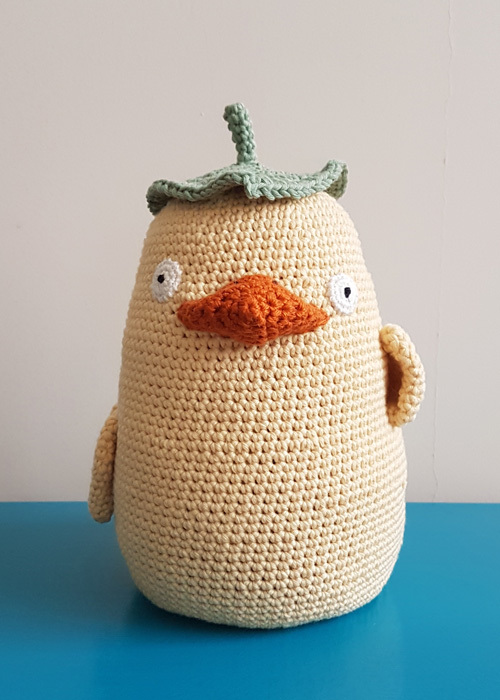 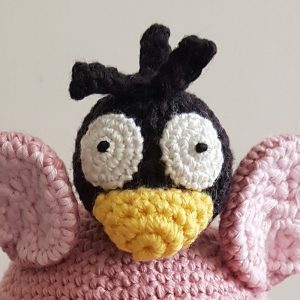 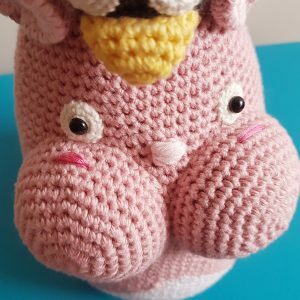 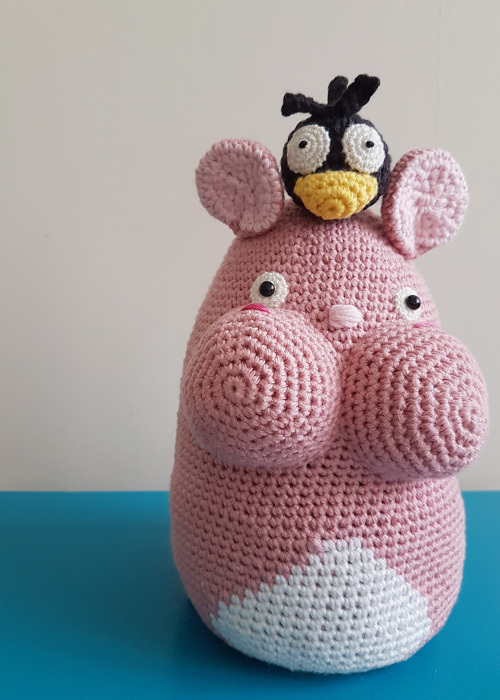 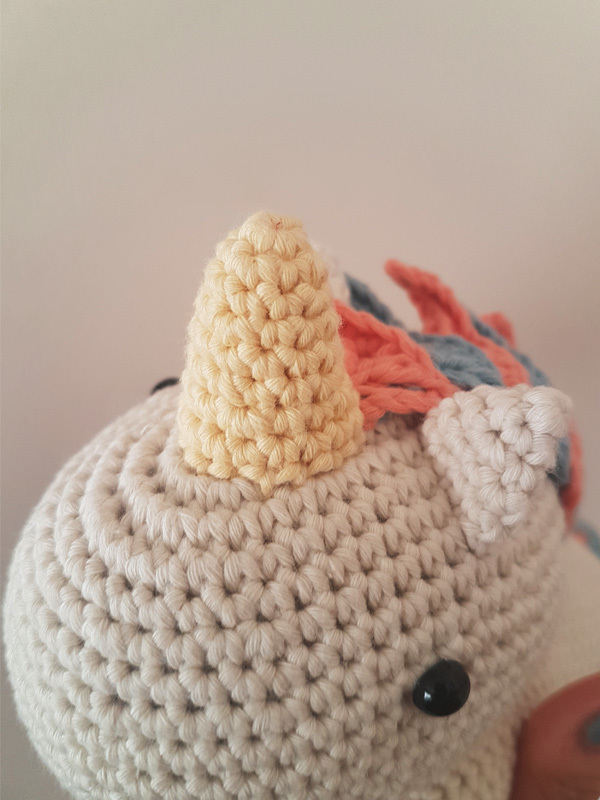 Please follow me for the latest crochet creations 🙂 See you next time! 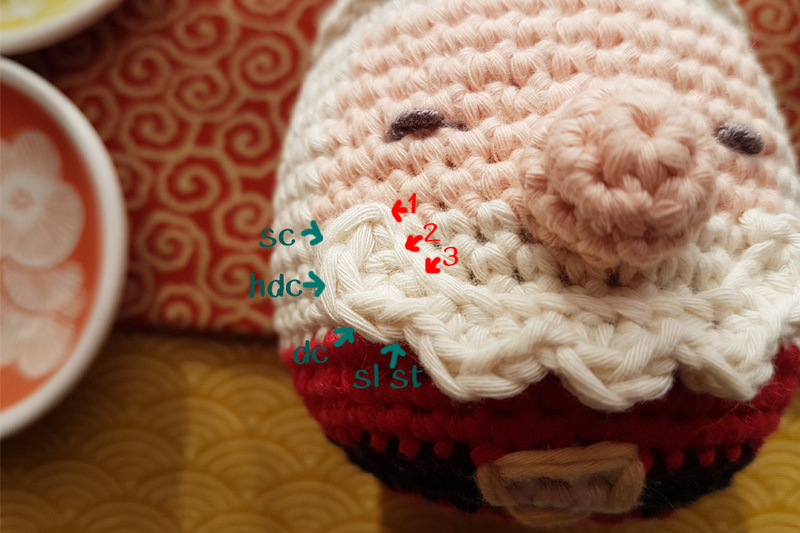 -After Round 15, we start to do the decreasing to form the head shape. 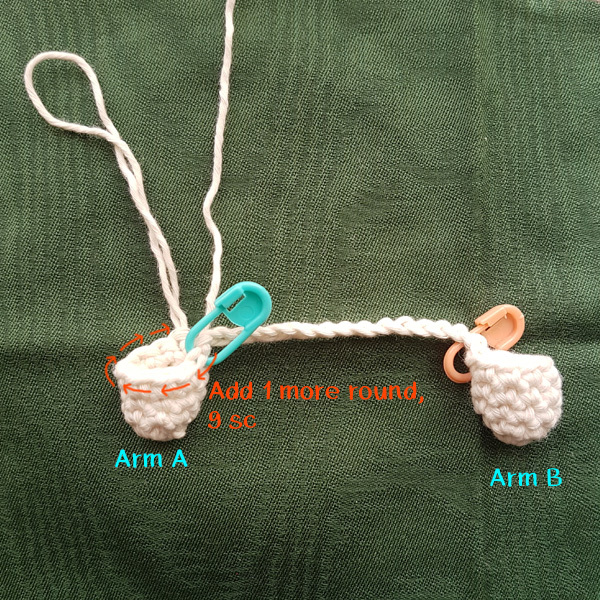 -From here, change the yarn color to White/ Red every 2 rounds. 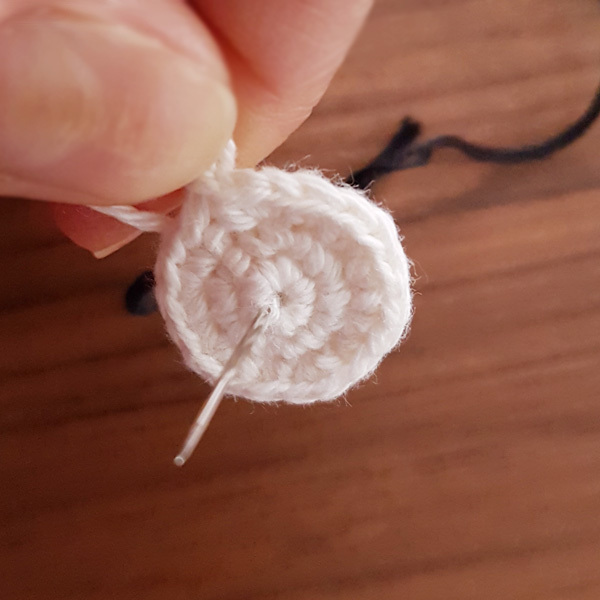 When all parts are ready, using the tapestry needle join them all together. 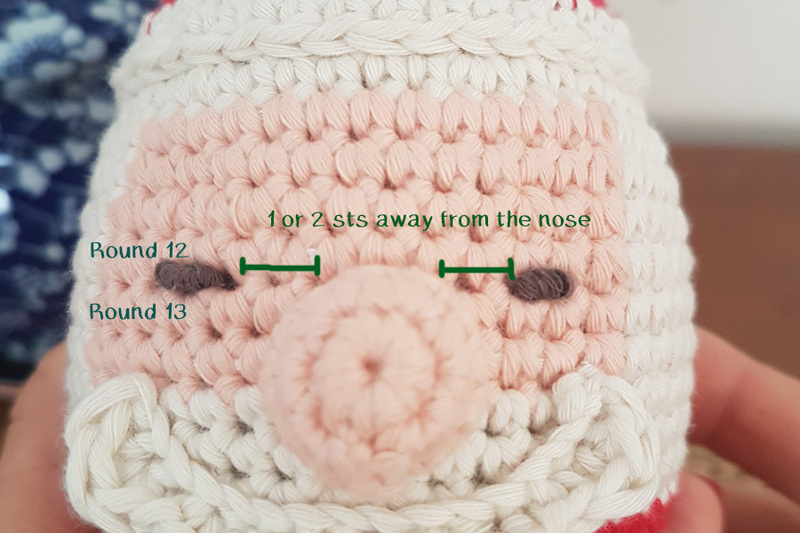 Last but not least, sew the eyes 1 or 2 stitches away from the nose. 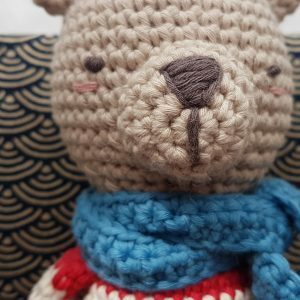 Now, say Hi to your Teddy Jack! 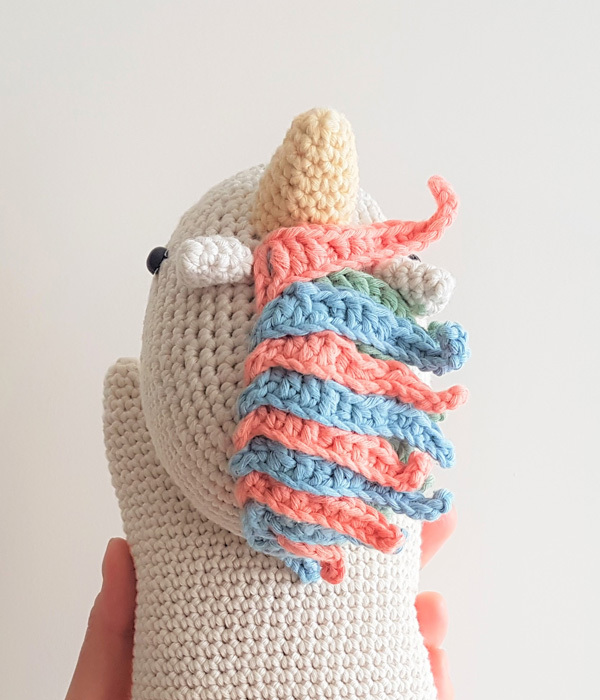 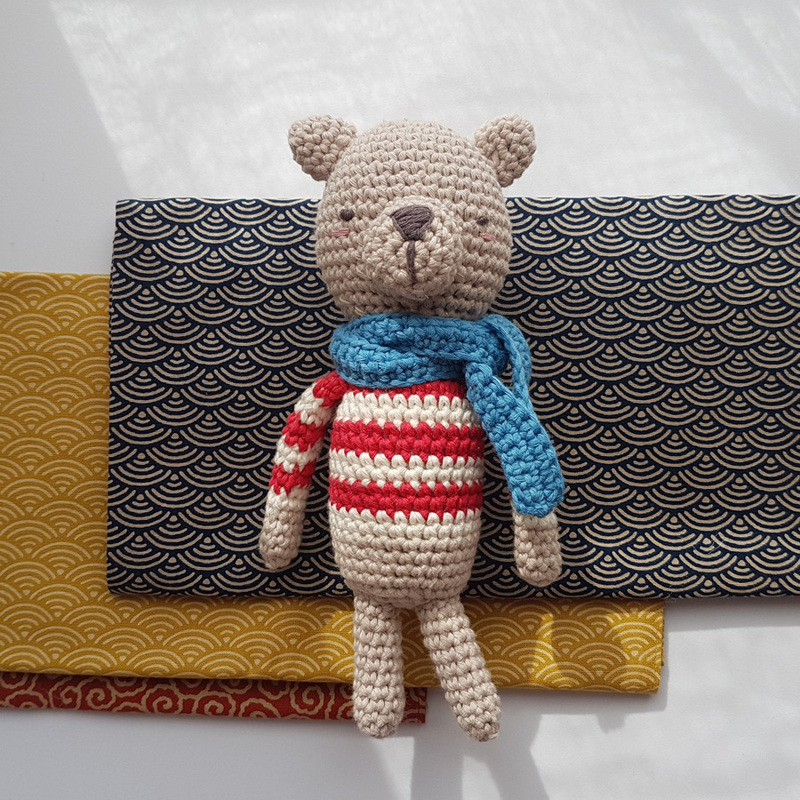 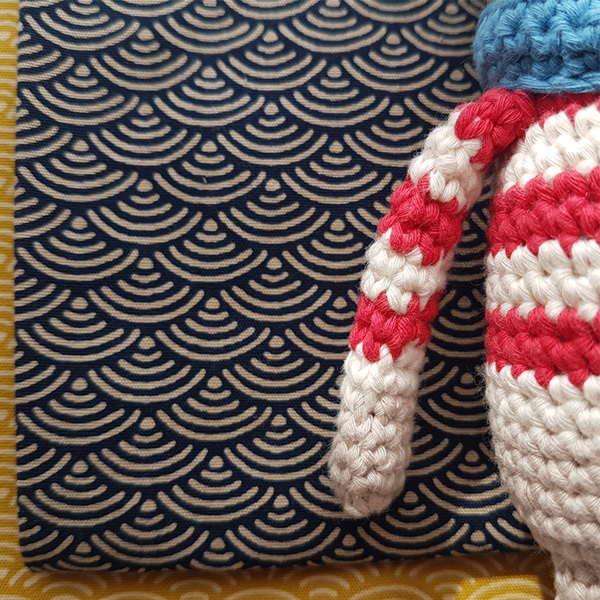 I hope you enjoy this Teddy Jack pattern and it would be nice if you can share with me your Teddy Jack, would appreciate a lot! 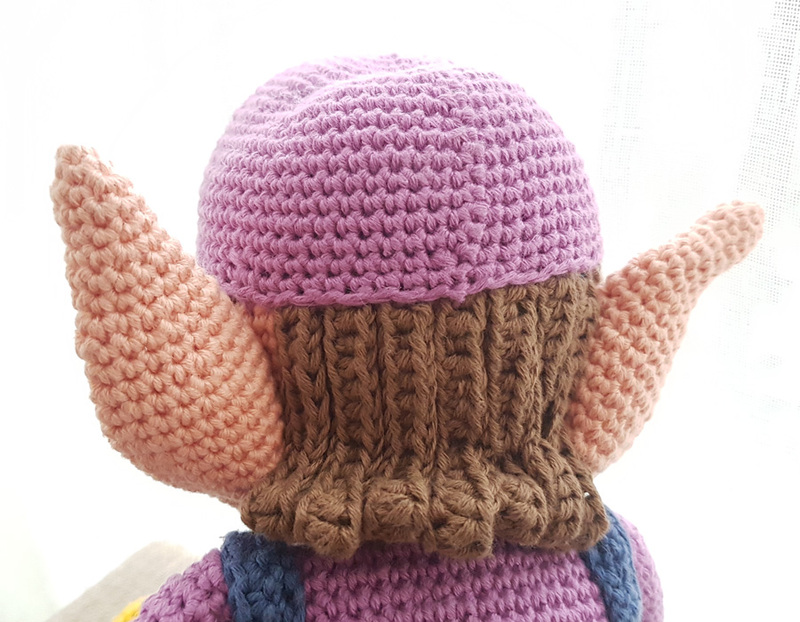 Please keep following me for the next inspiration. 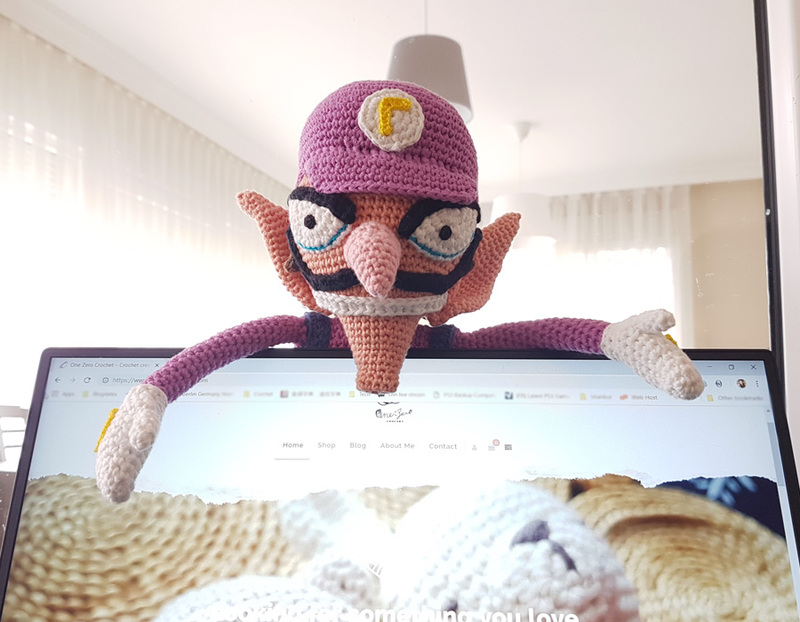 Ciao!